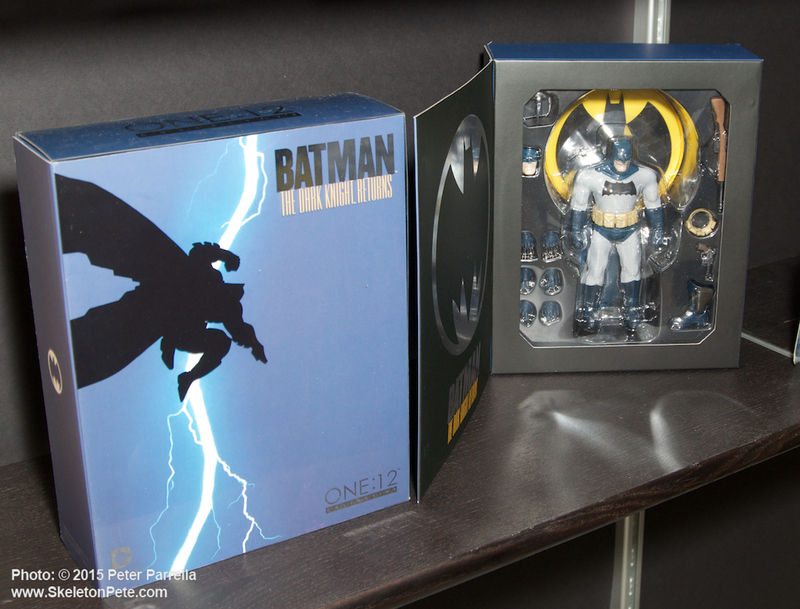 Production line One:12 Batman is ready to join your collection. 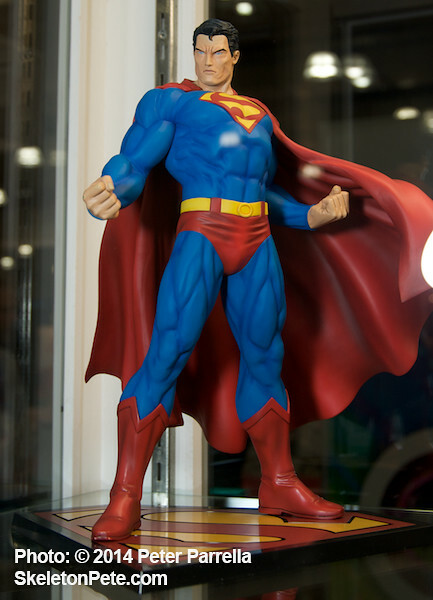 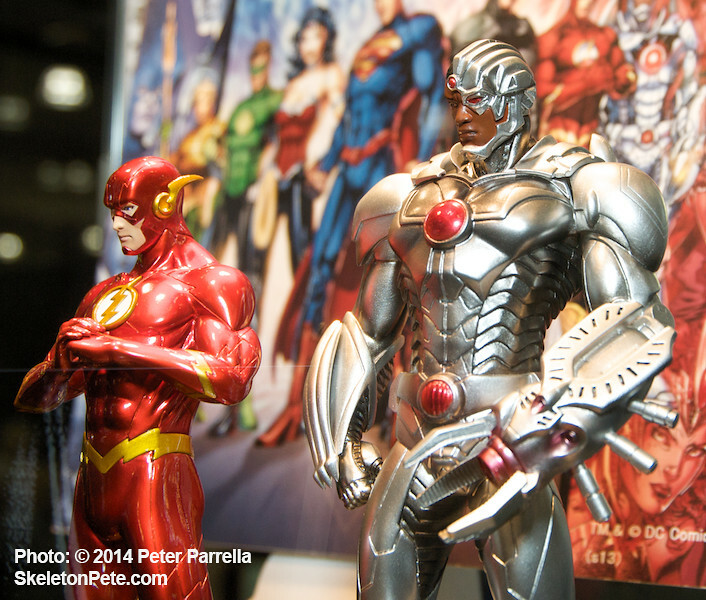 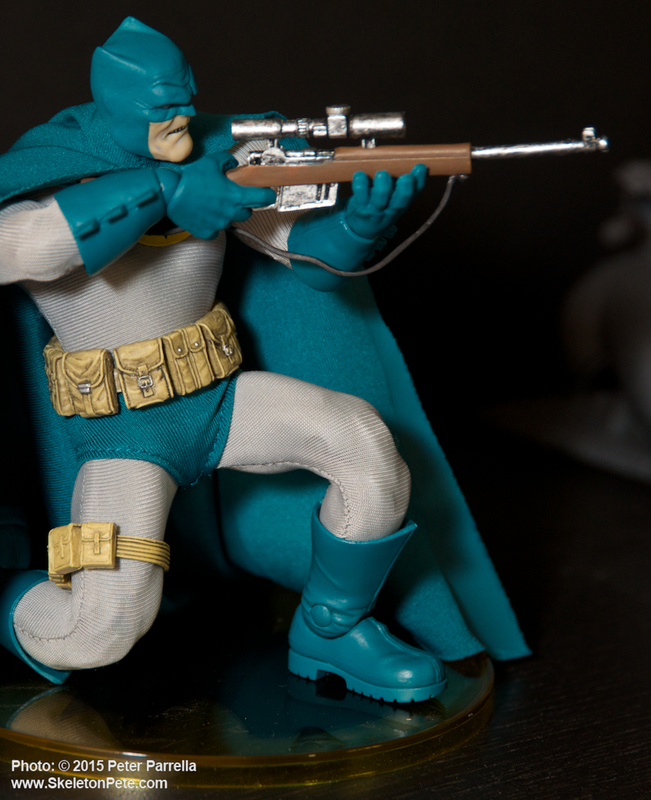 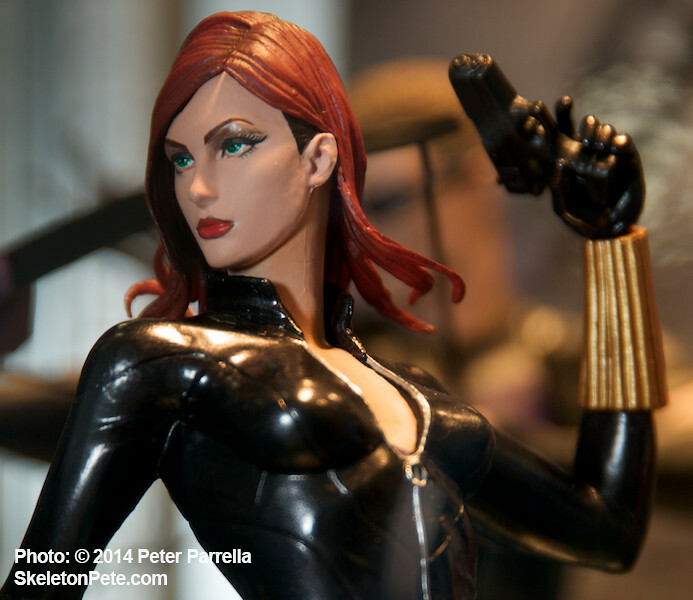 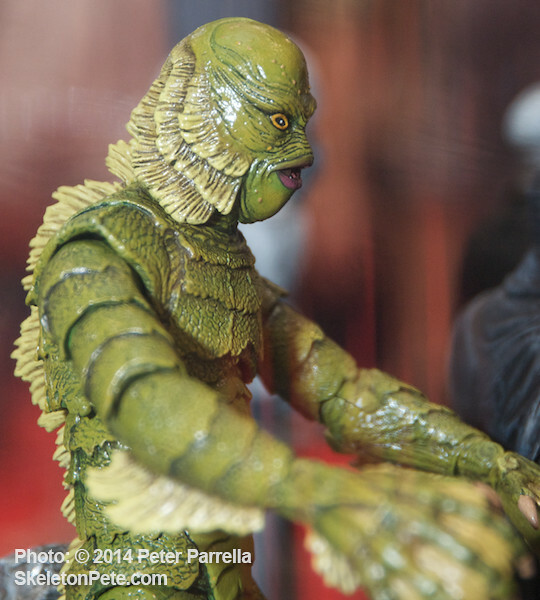 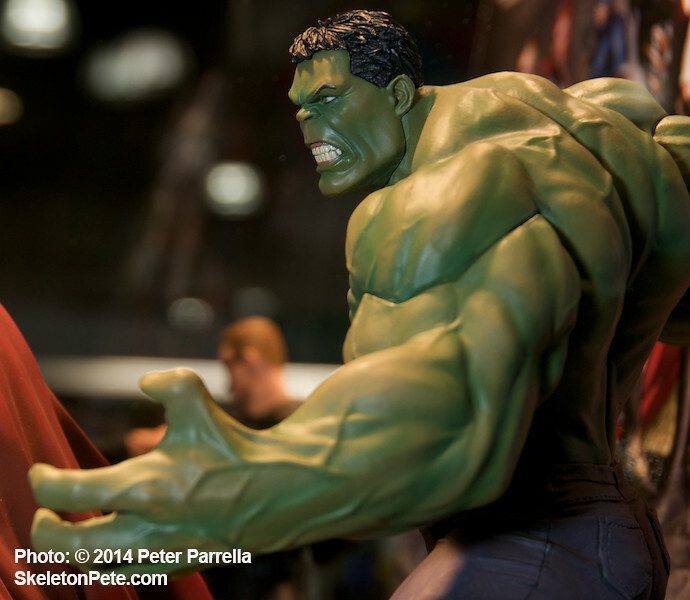 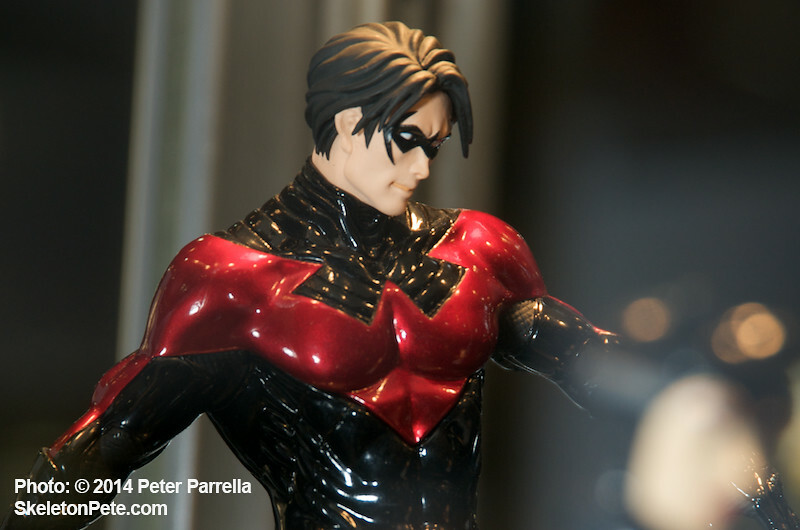 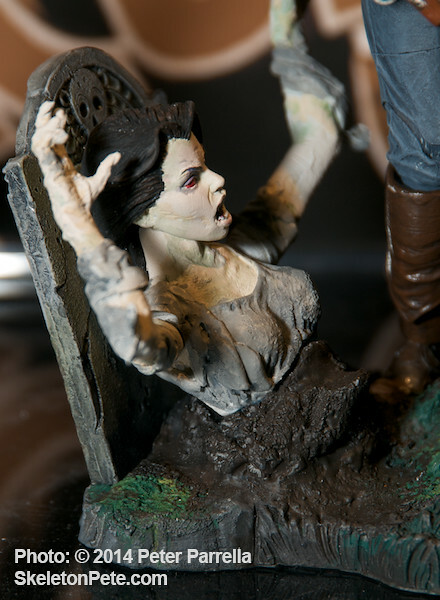 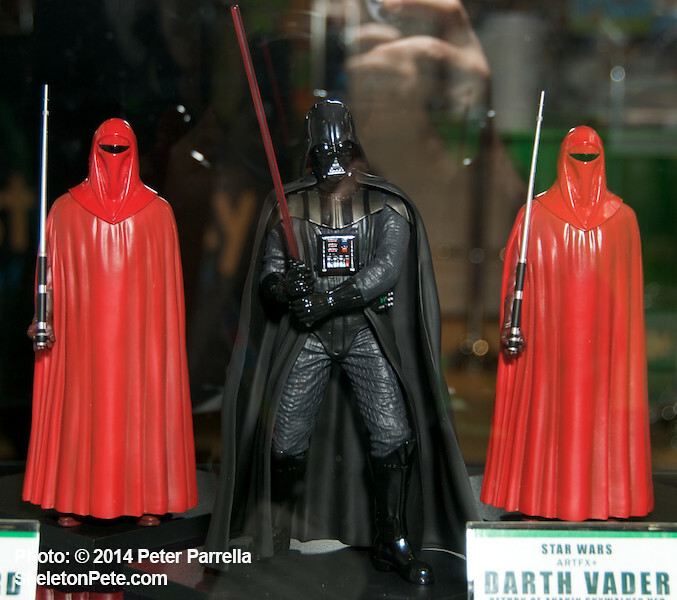 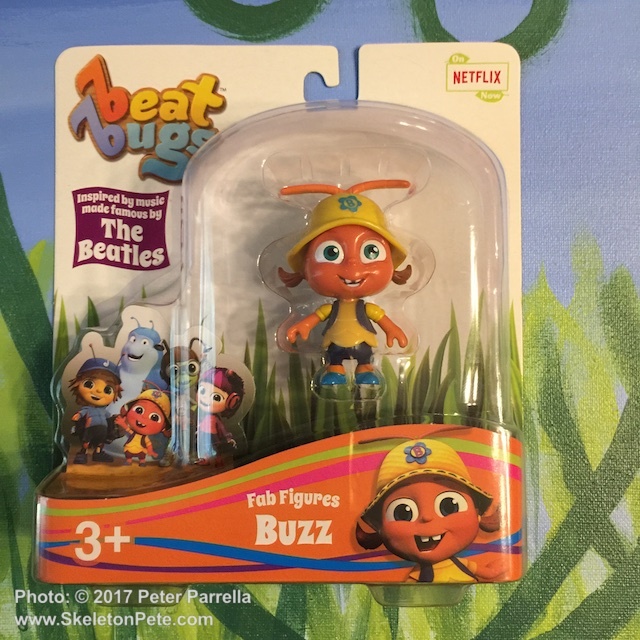 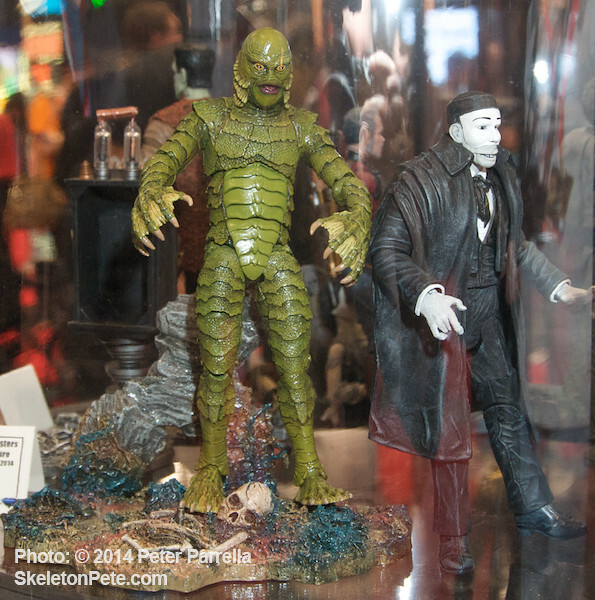 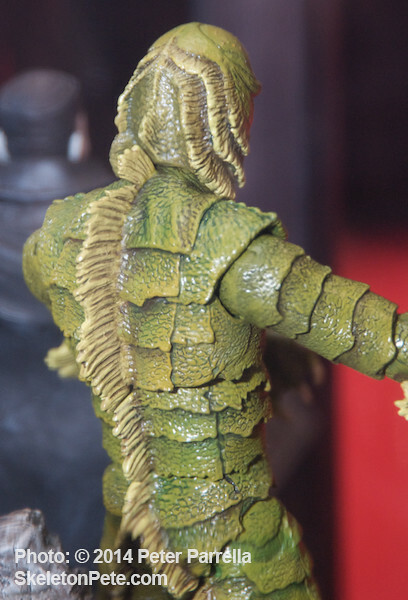 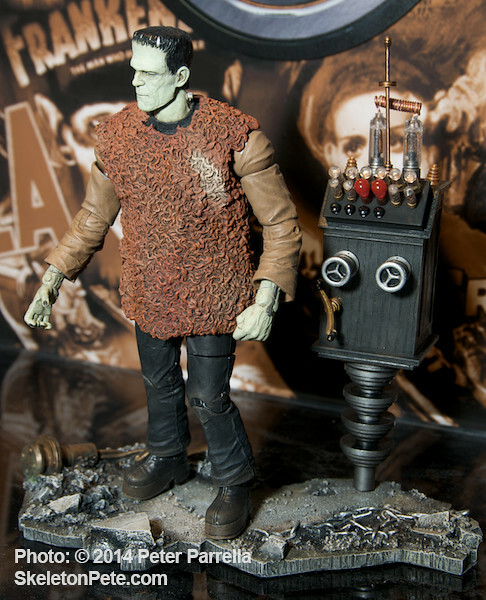 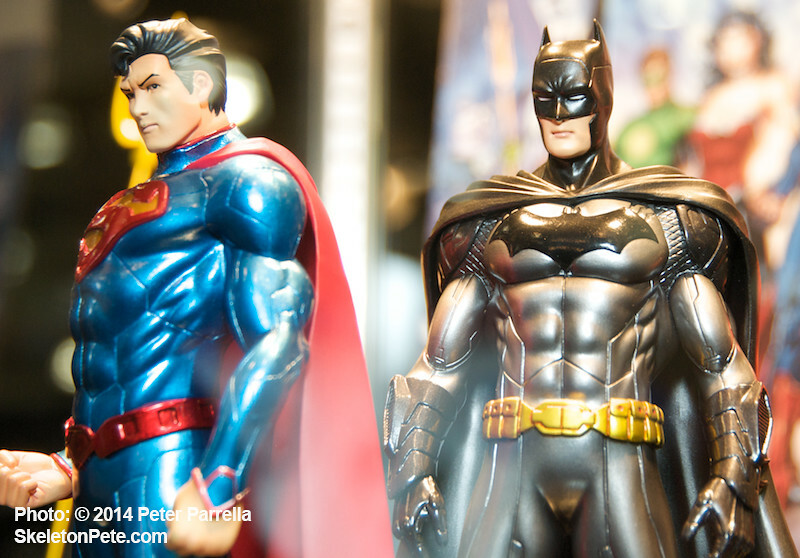 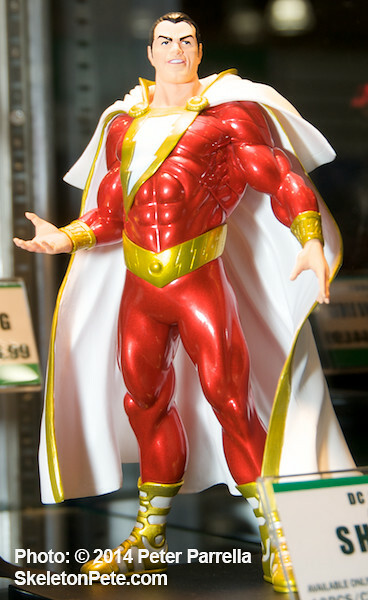 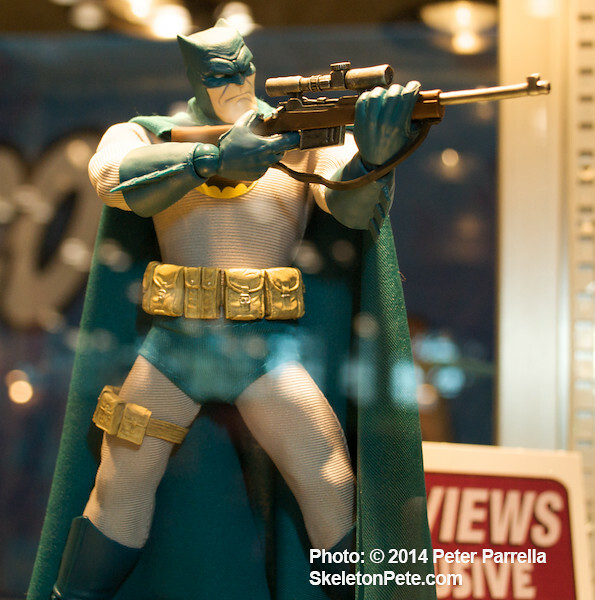 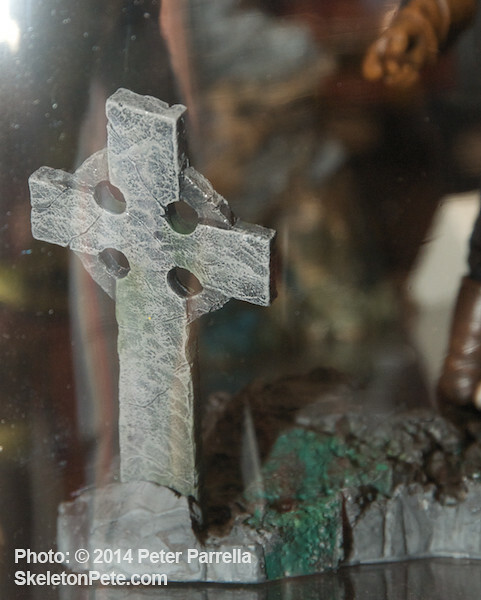 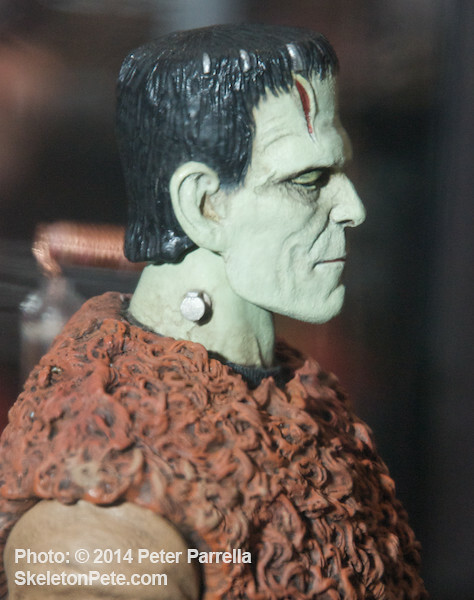 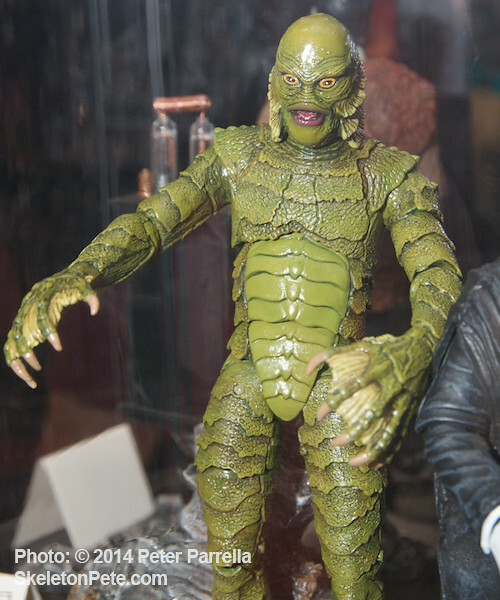 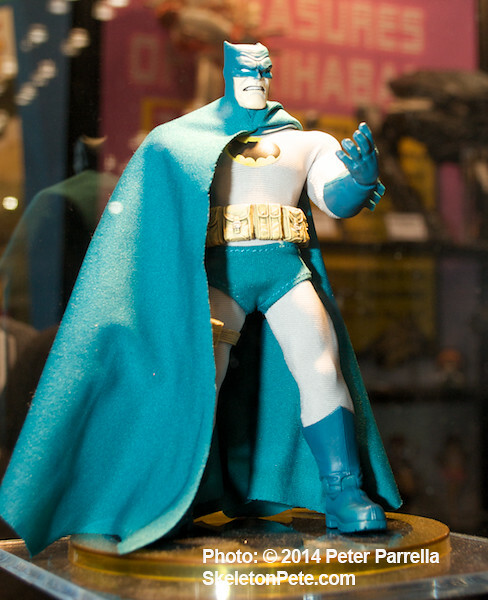 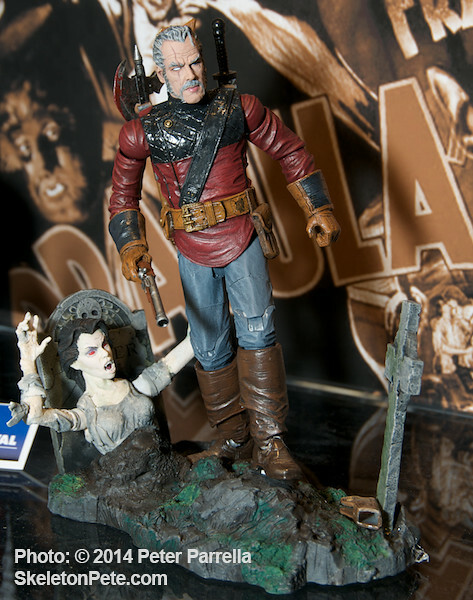 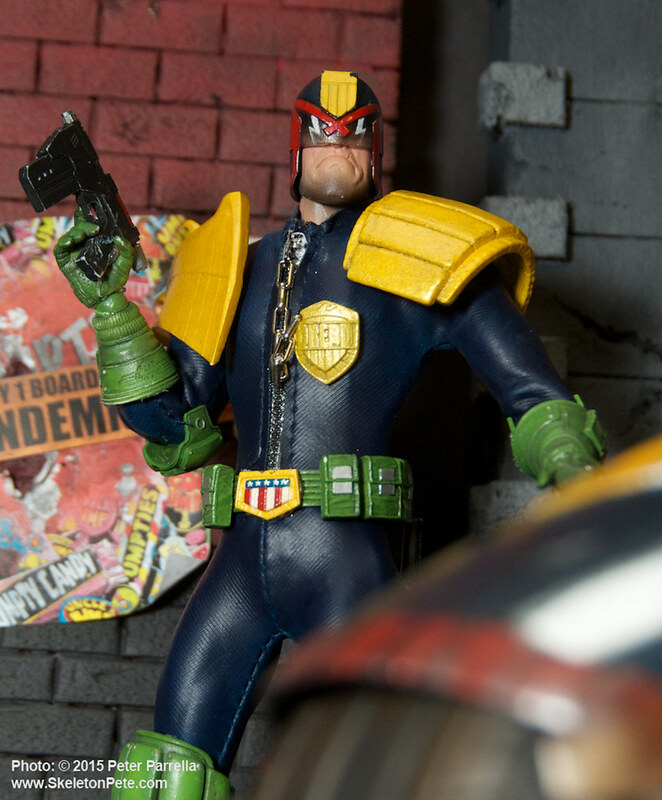 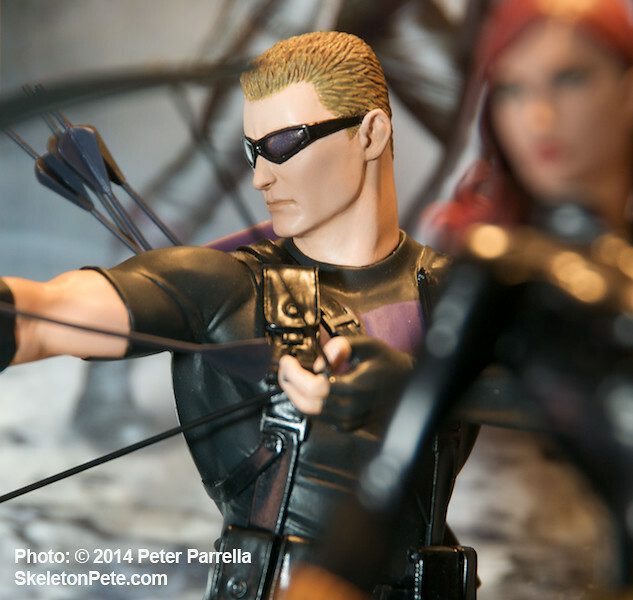 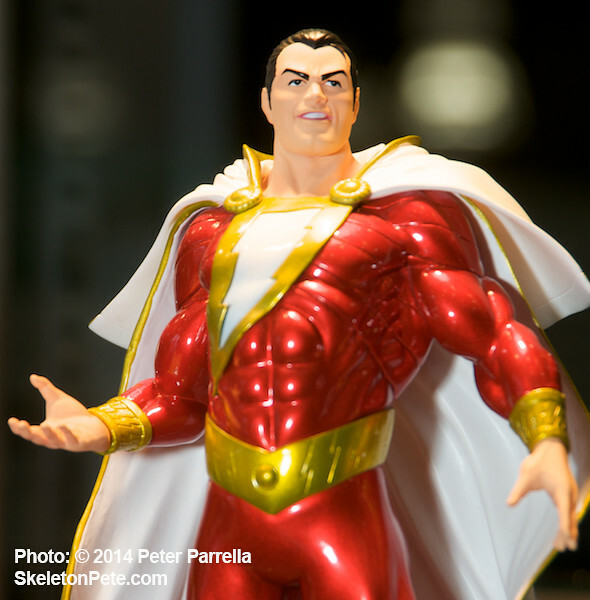 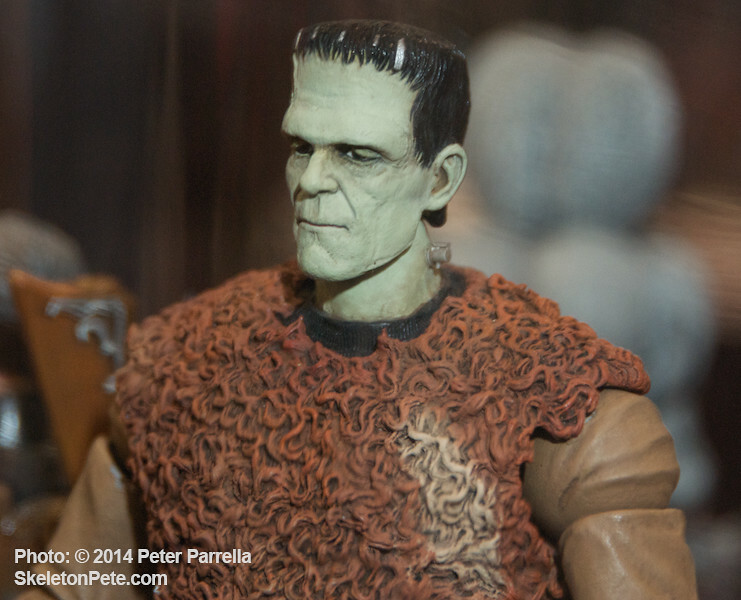 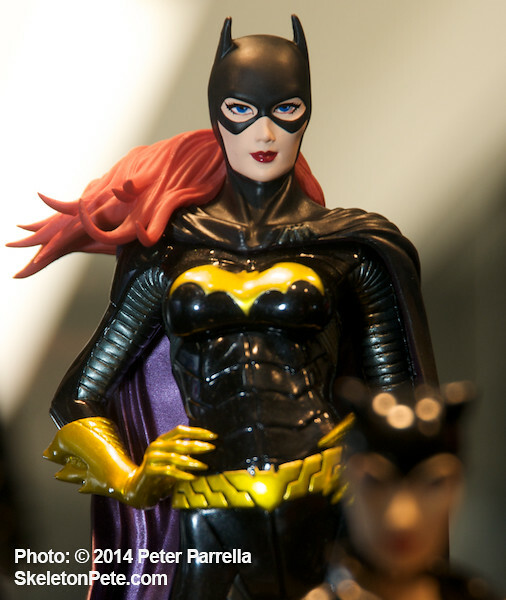 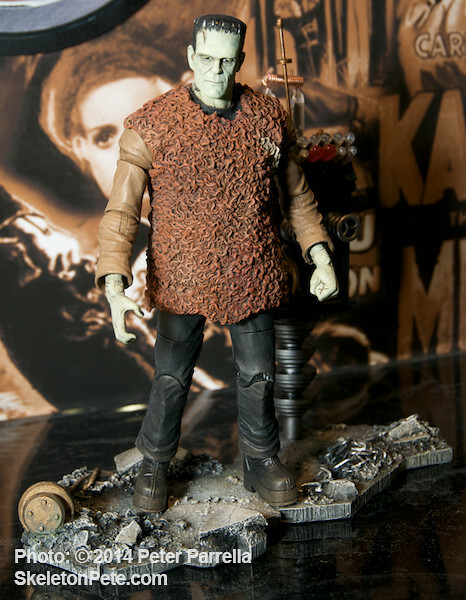 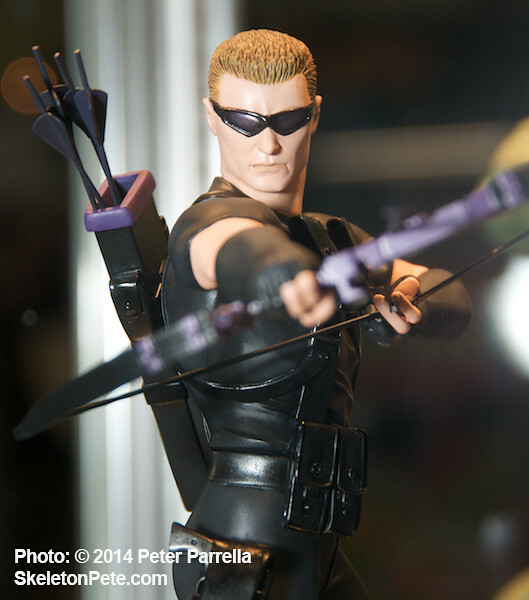 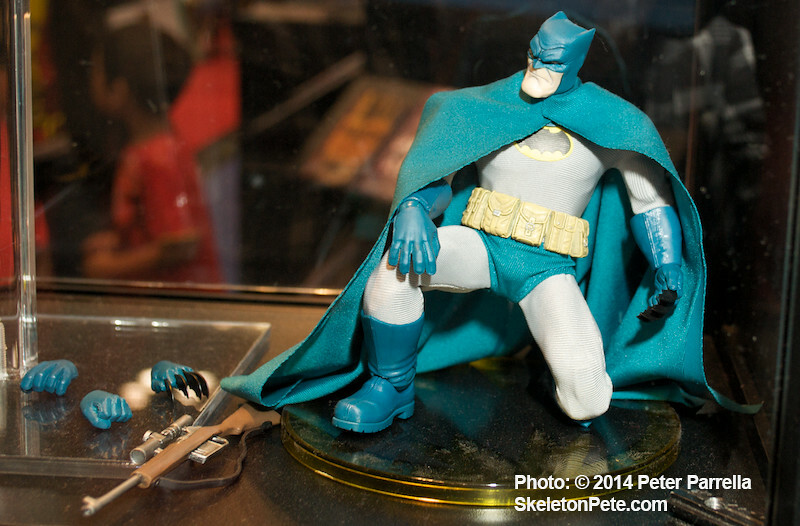 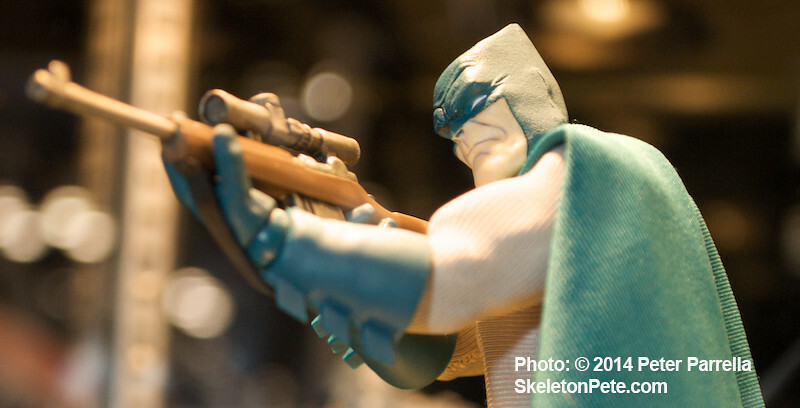 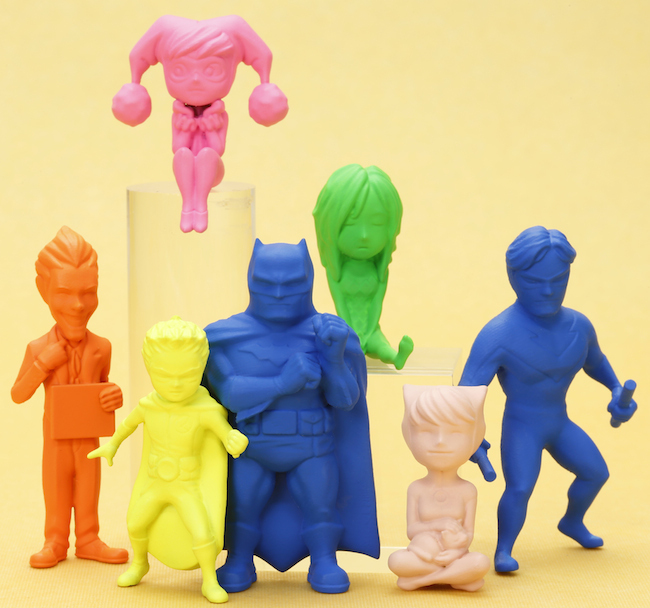 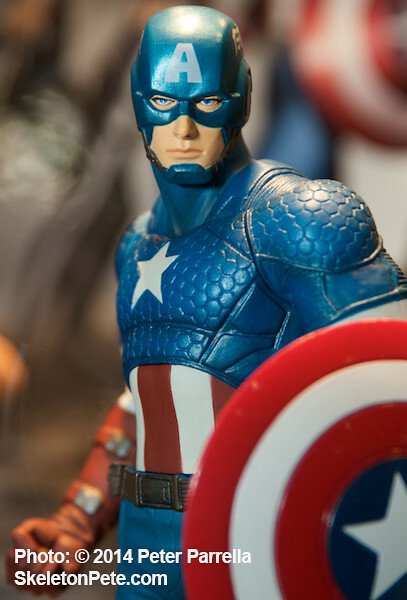 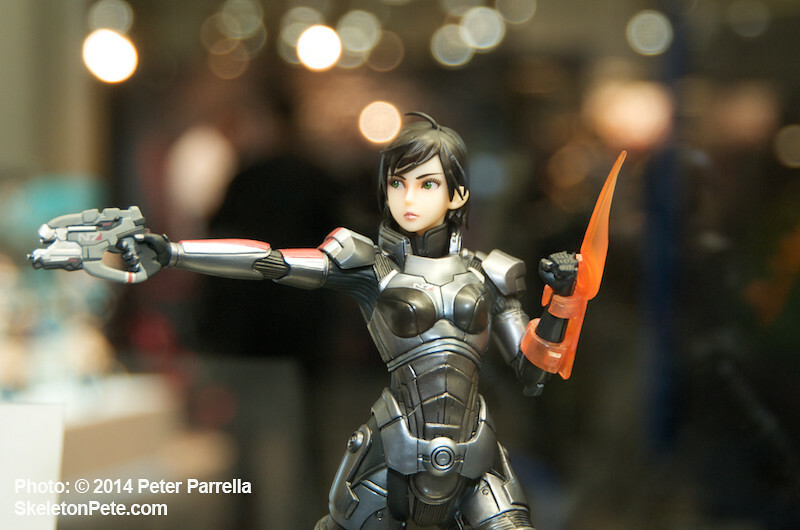 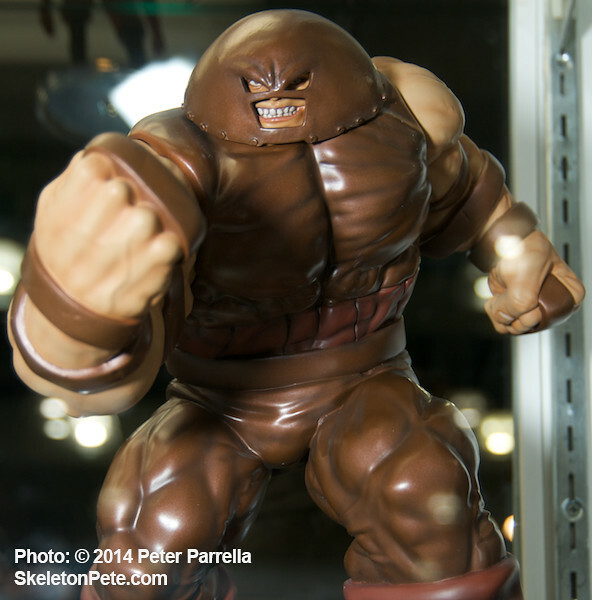 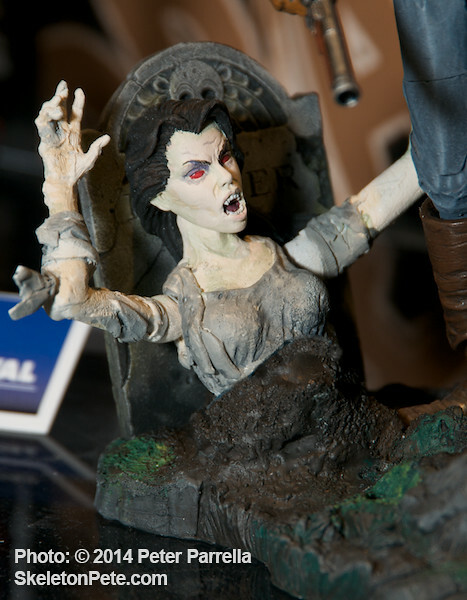 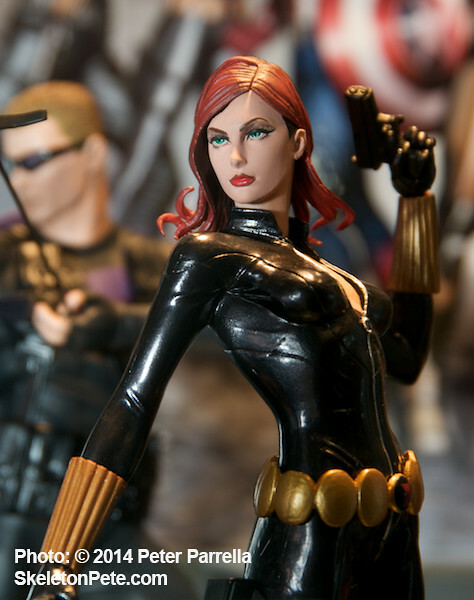 Mezco Toyz’ 2015 Pre-Toy Fair press event afforded us an unfettered look at their newest licensed and original collectibles. 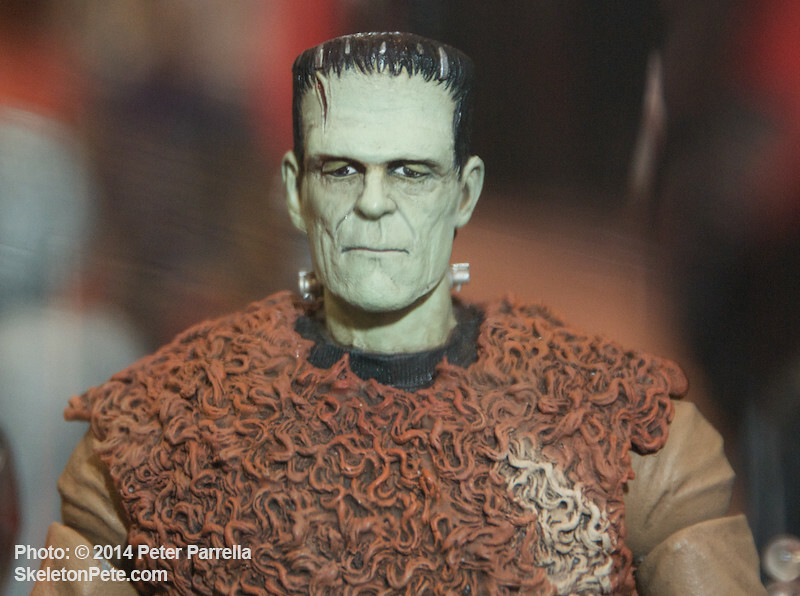 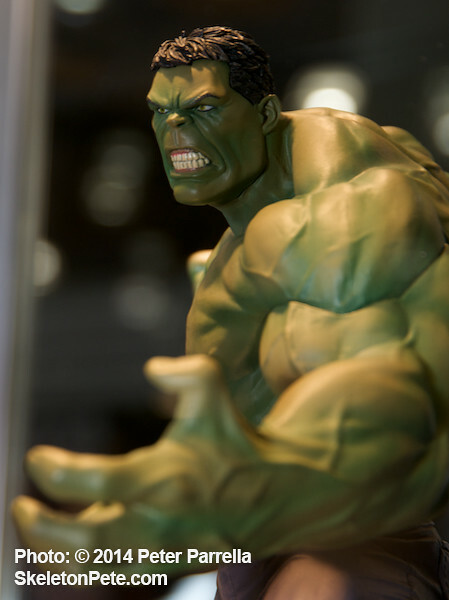 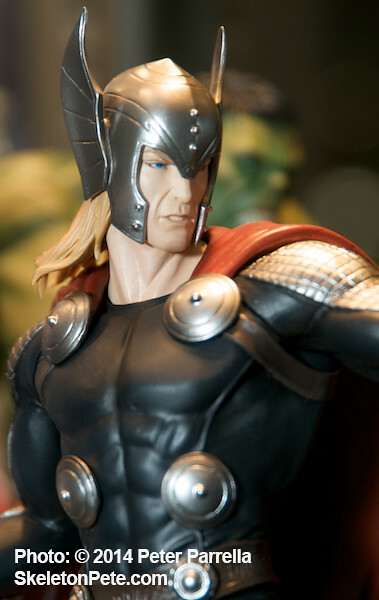 An icy journey to the Mezco sanctum sanctorum paid off as Ken Pierce (www.piercingmetal.com) and I, along with many other enthusiastic reporters, found ourselves surrounded by shelves filled with some astounding toys. 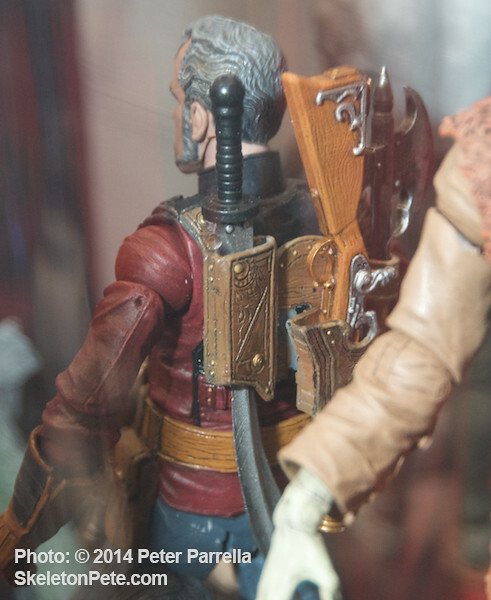 Things you all are going to love. 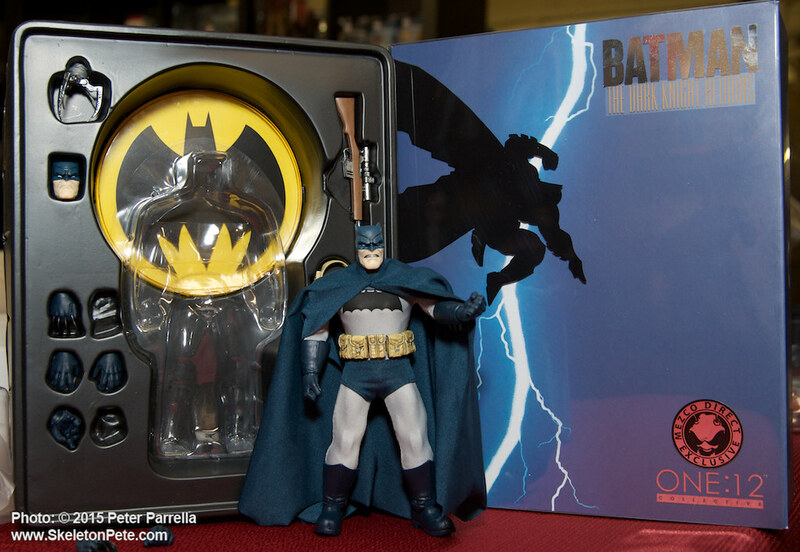 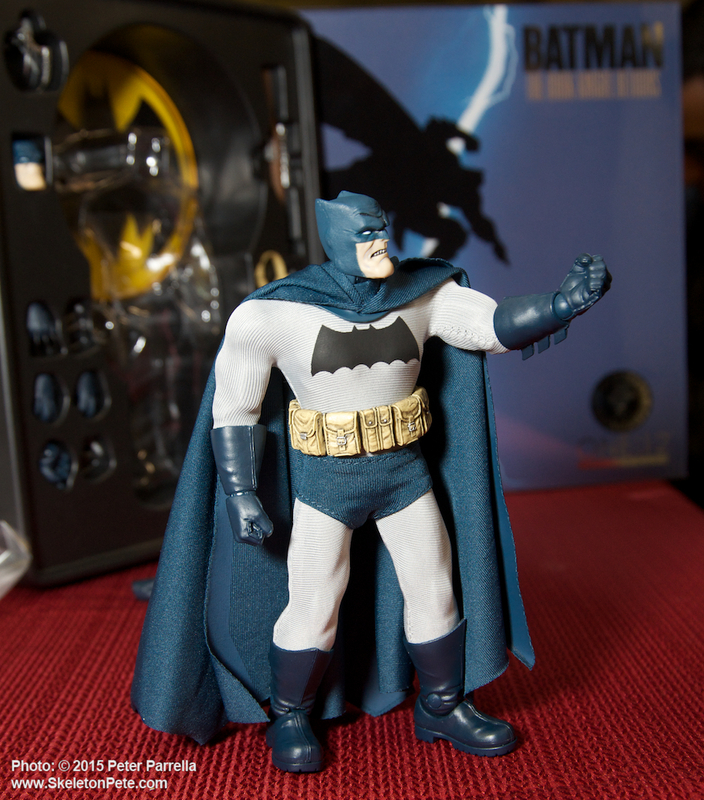 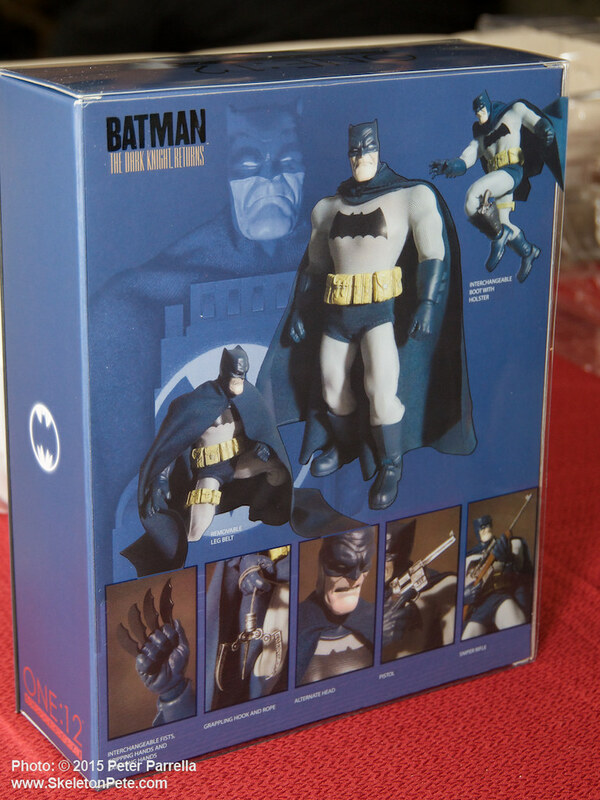 The highlight of the reveal was an opportunity to unbox and inspect the first production line models of the One:12 Collective Batman Dark Knight Returns figures. 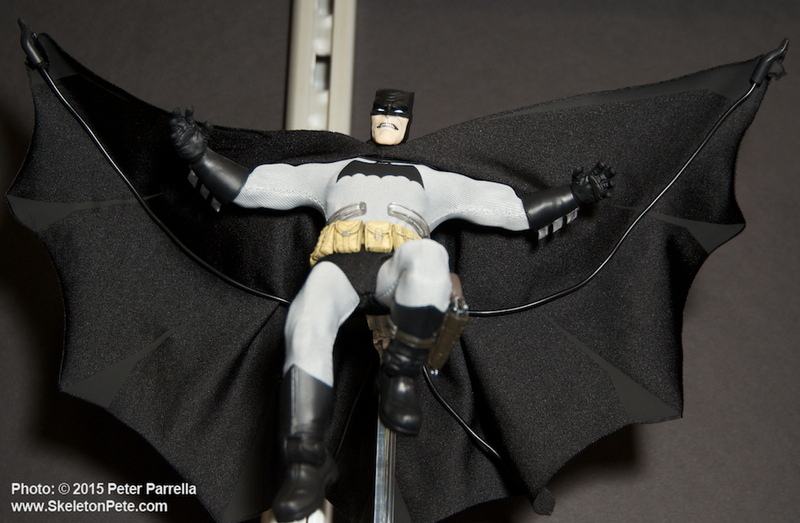 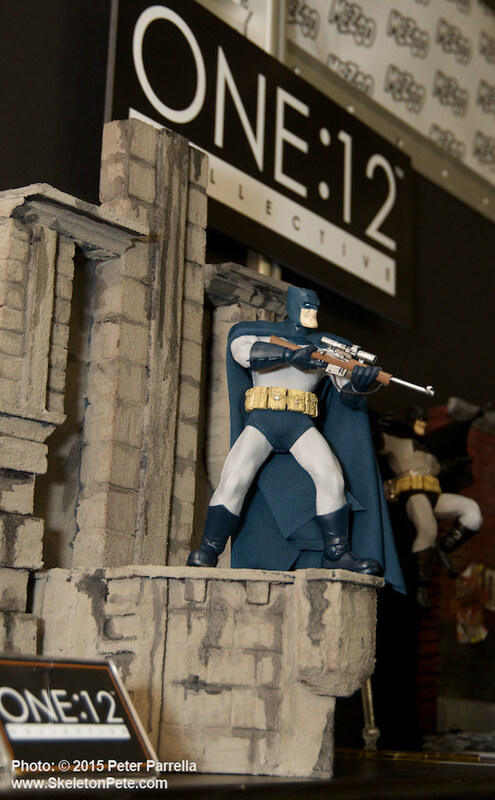 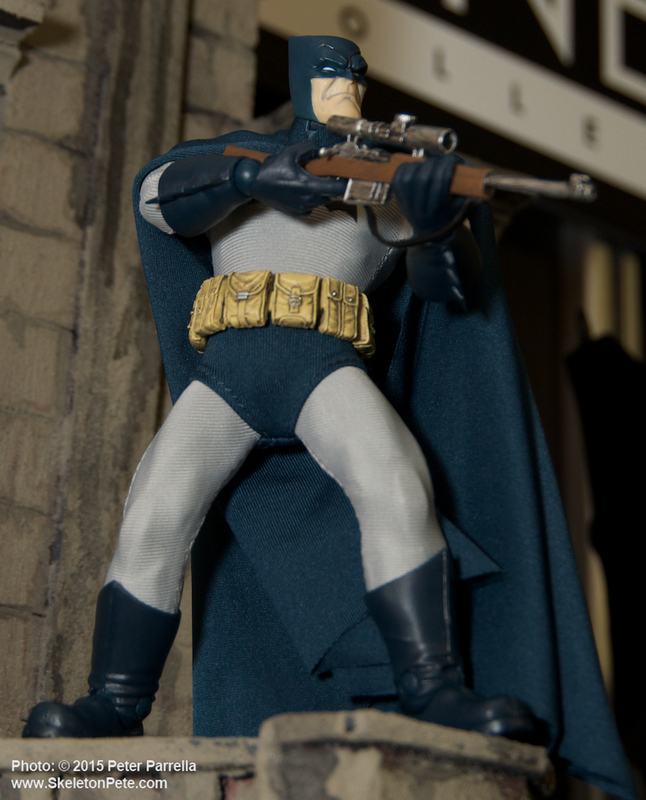 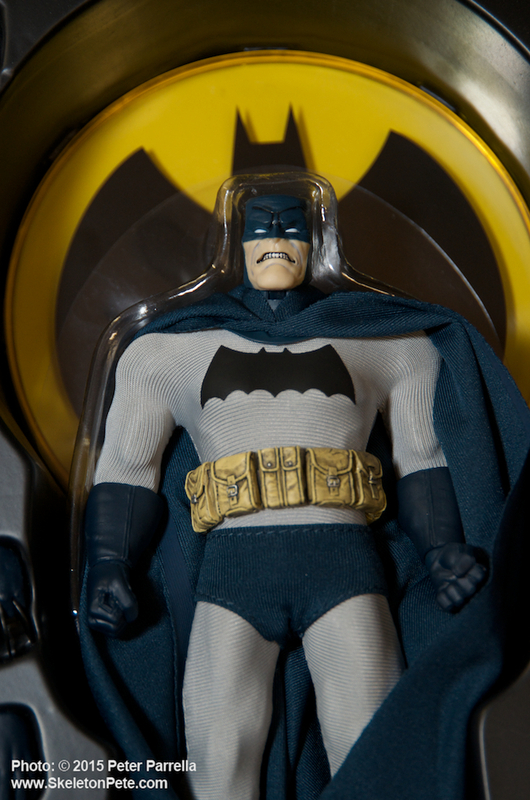 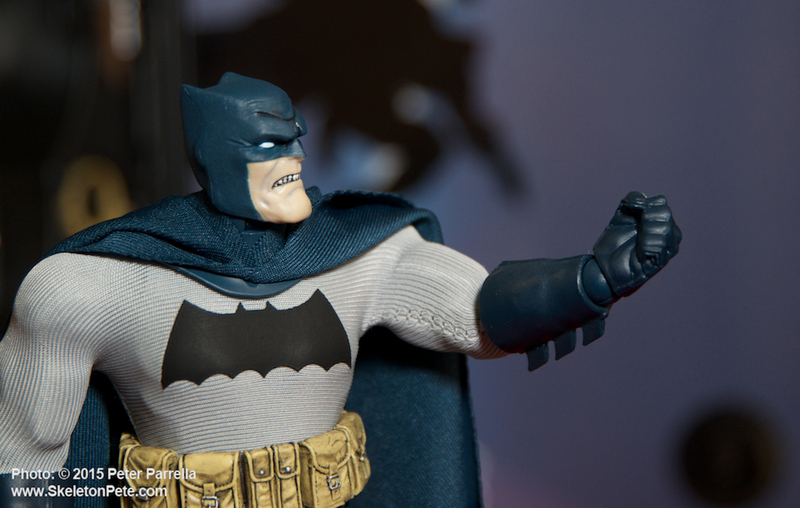 Mezco Toyz’ one:12 Collective Batman production model. 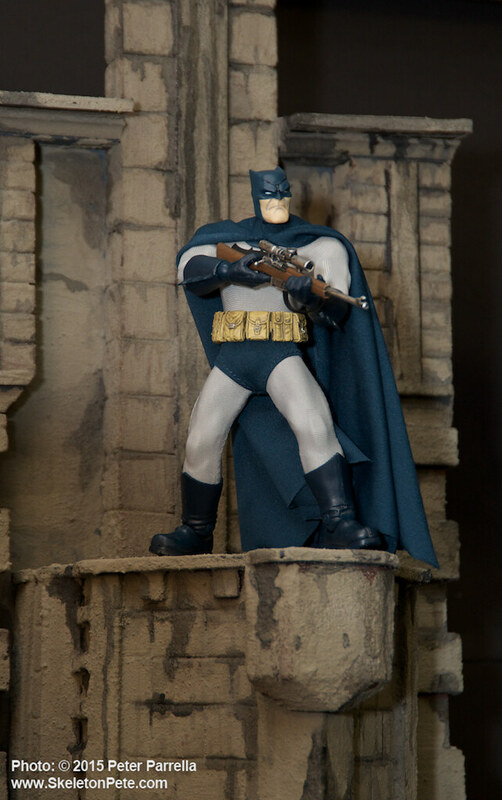 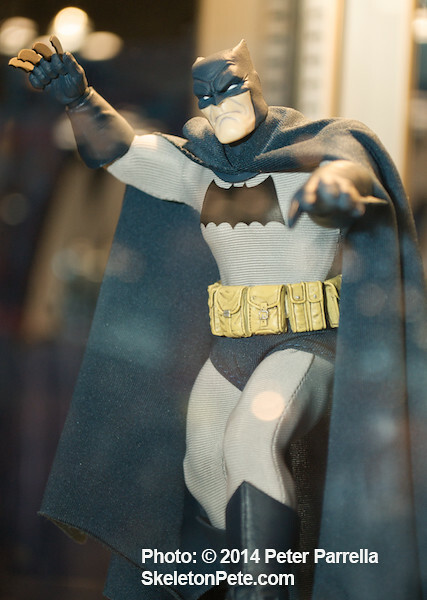 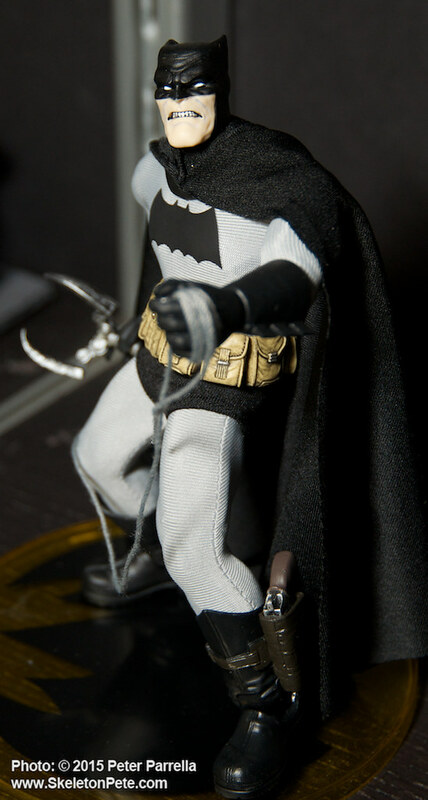 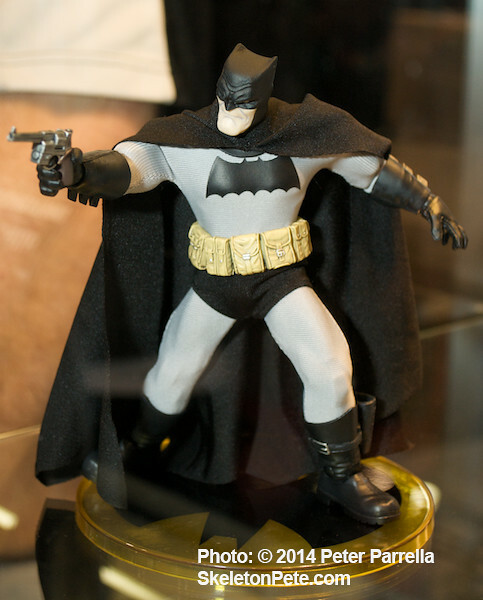 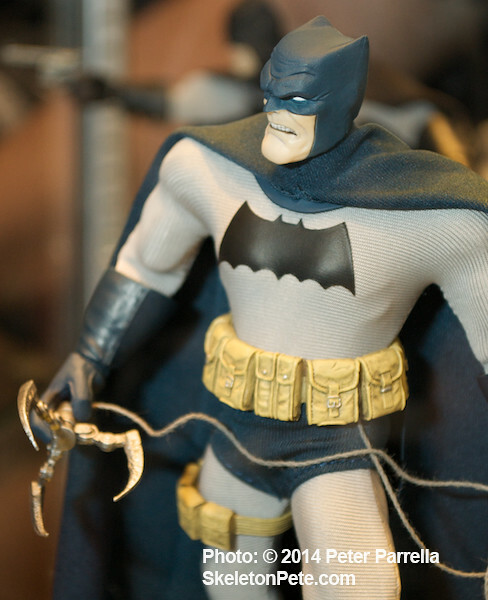 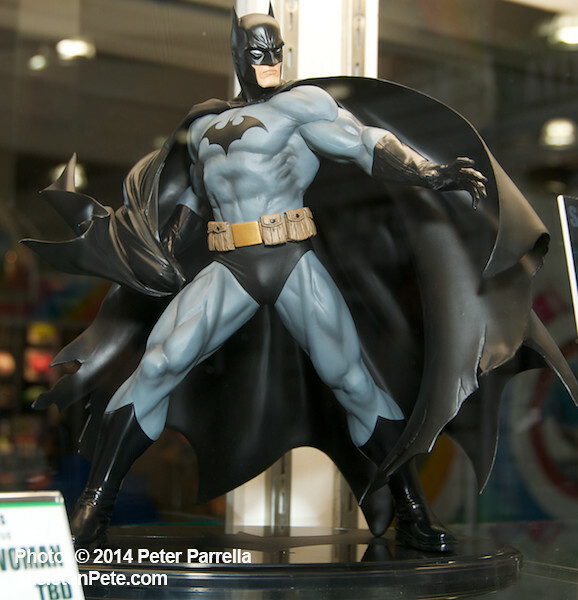 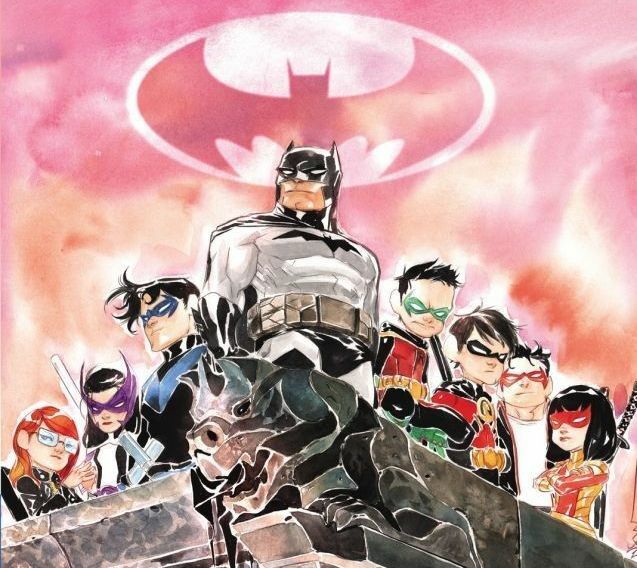 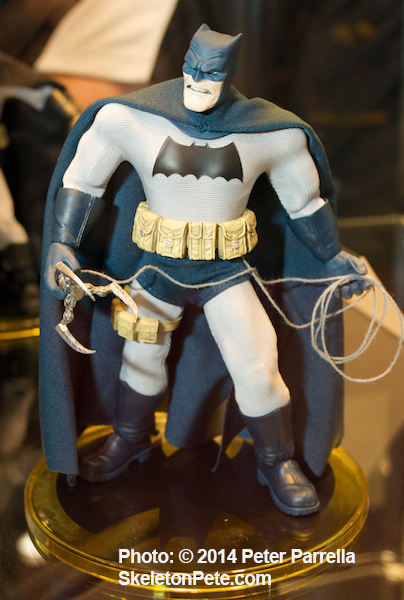 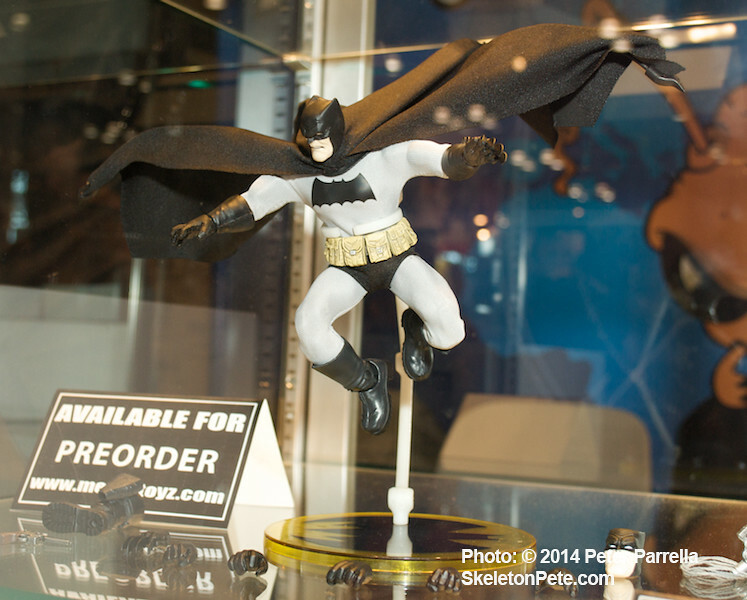 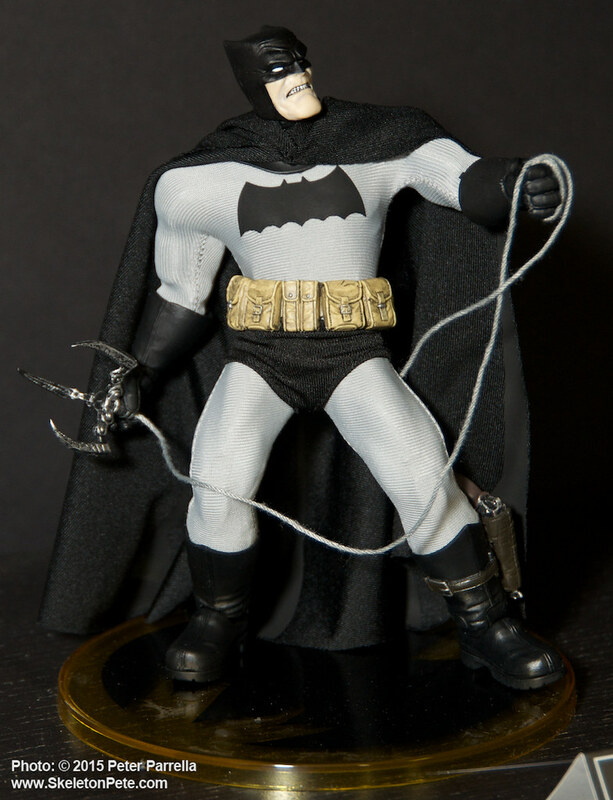 We’ve been tantalized by the images the company has teased out over the last few months, and impressed by the prototypes on view at New York Comic Con last fall, but actually handling the beautifully constructed Batman affirmed the exceptional fit and finish that the images suggested. 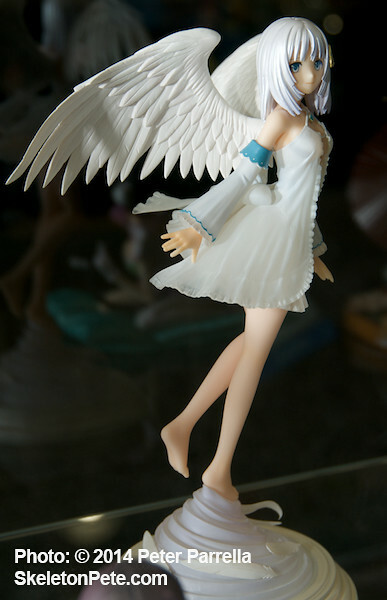 Millenary work on the cloth costume is clean and classy. 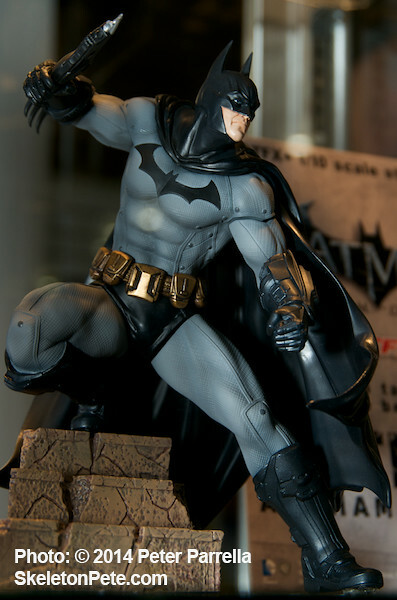 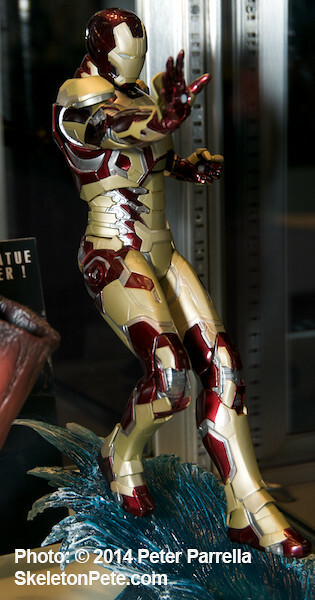 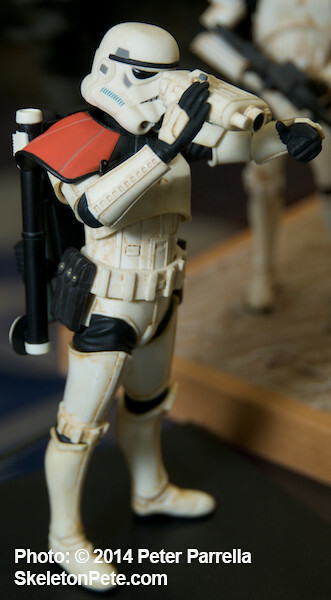 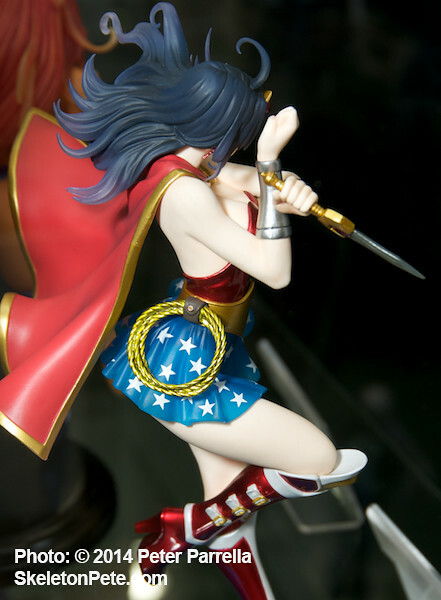 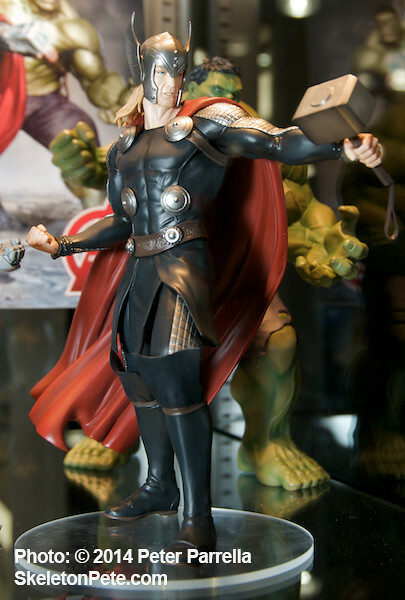 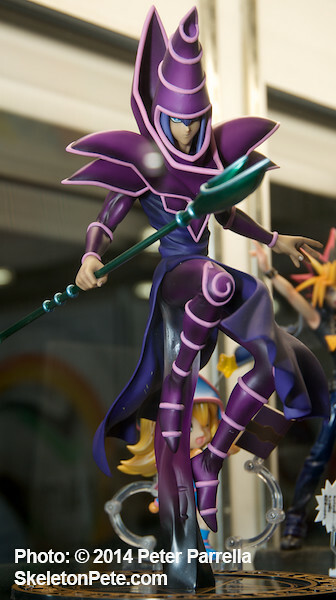 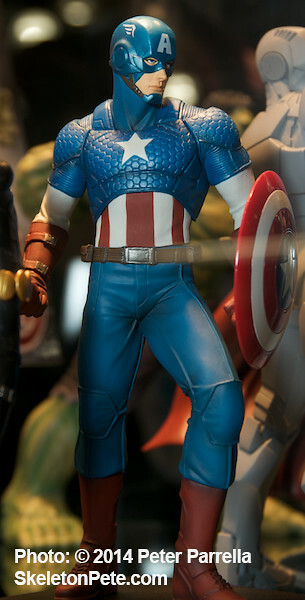 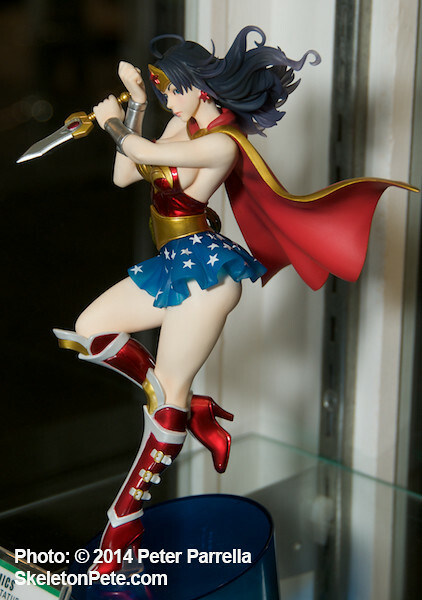 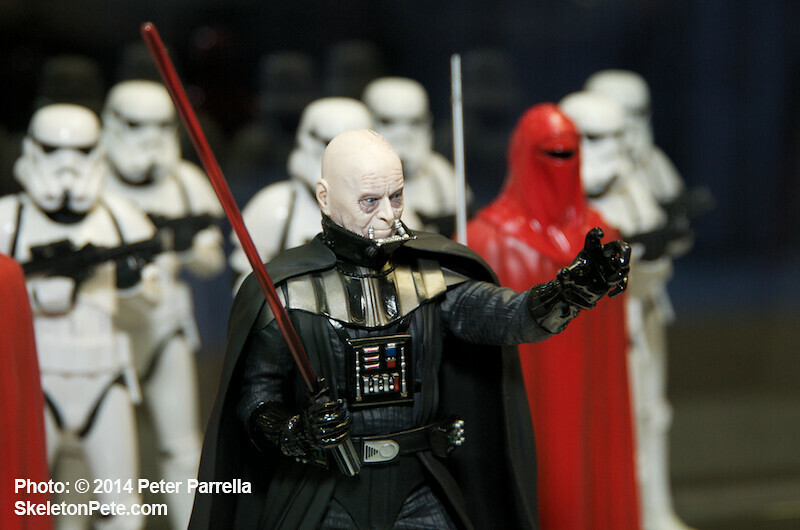 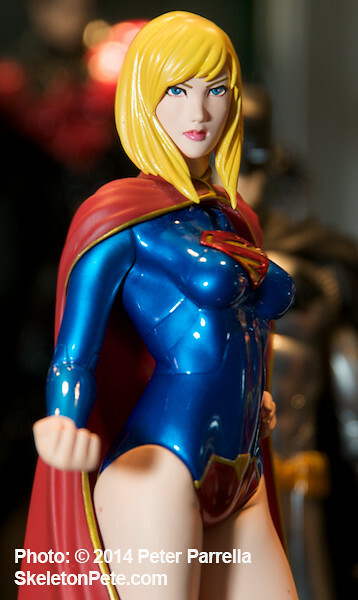 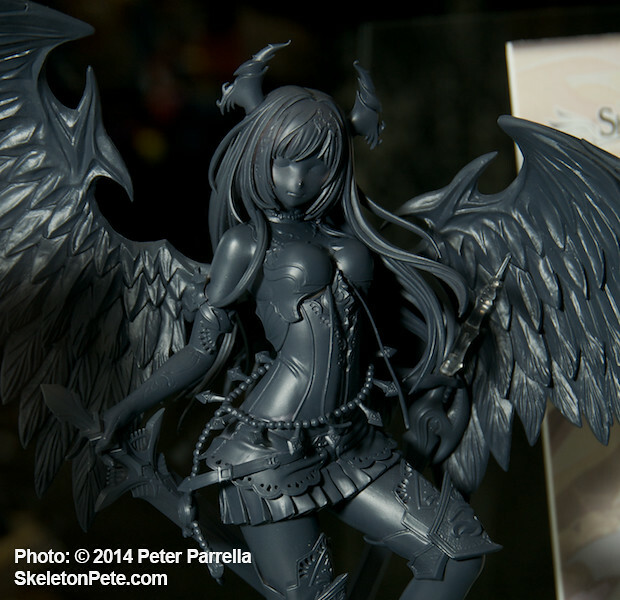 The weigh, balance, and firm articulation of the six inch figure make it addictive fun to pose. 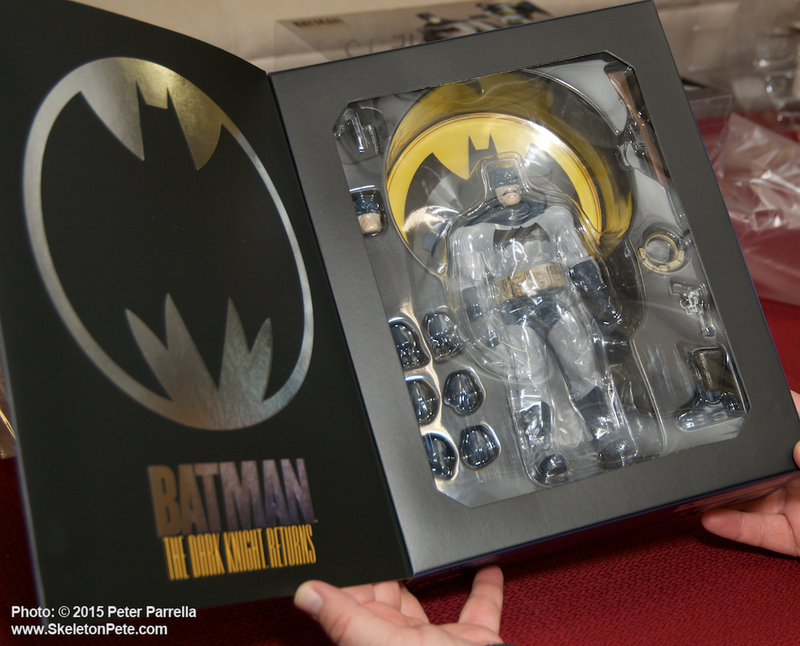 Collectors will appreciate the impressive display box with it’s multiple slip cases and great graphics and molded compartments. 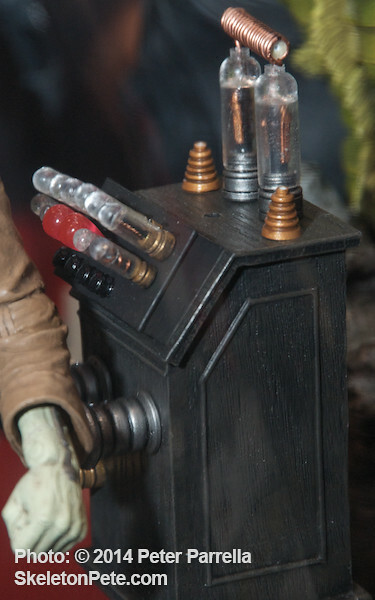 It’s a well thought out design that allows for the toy to be removed for play, and easily returned between adventures. 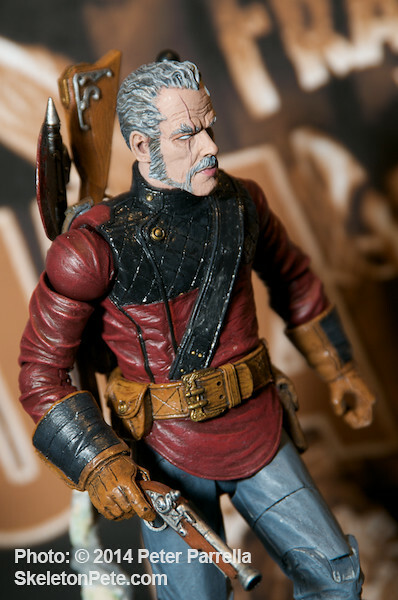 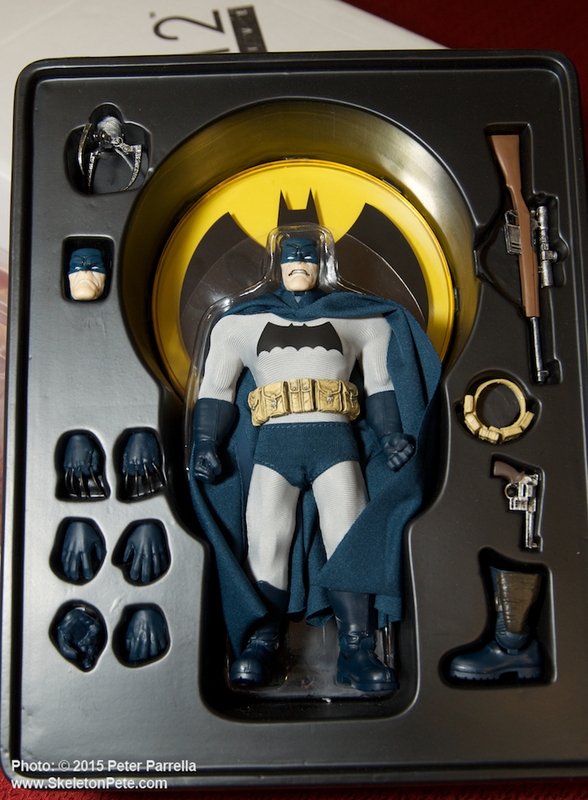 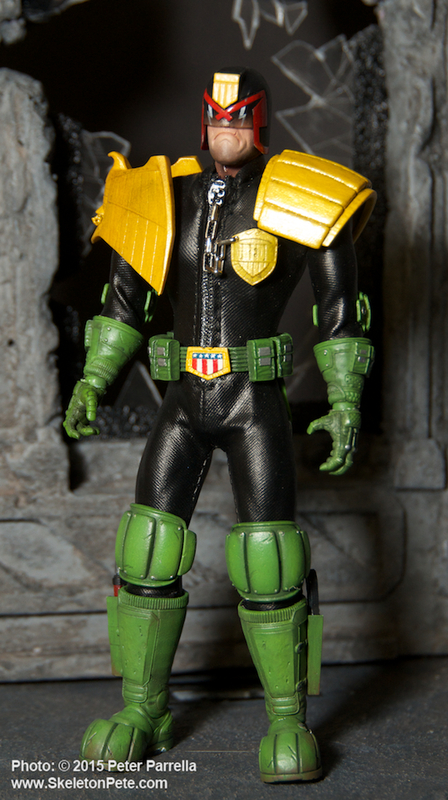 Accessories include a Bat Signal stand and an expansive array of swappable hands and weapons, plus neat unexpected details like the extra boot with ankle holster. 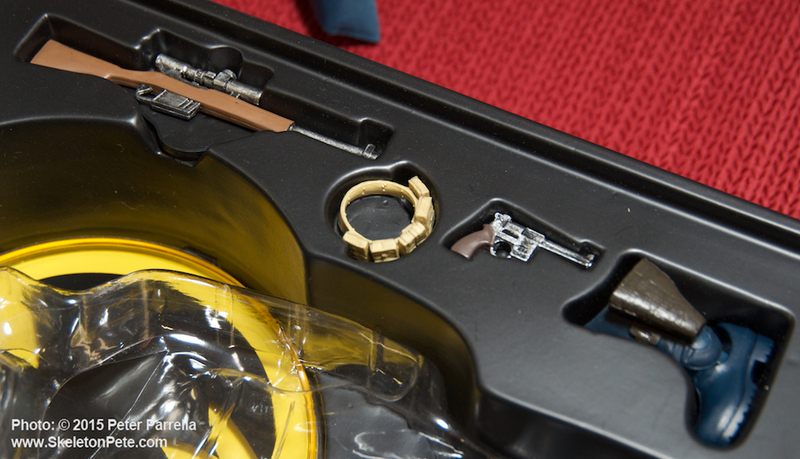 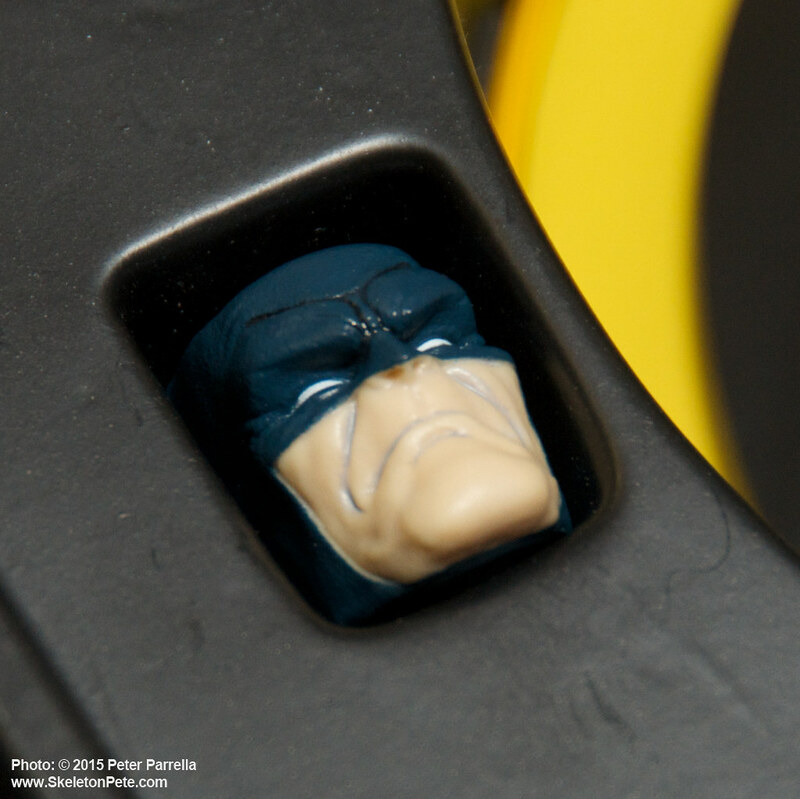 There is excellent attention to detail in the One:12 Batman accessory set. 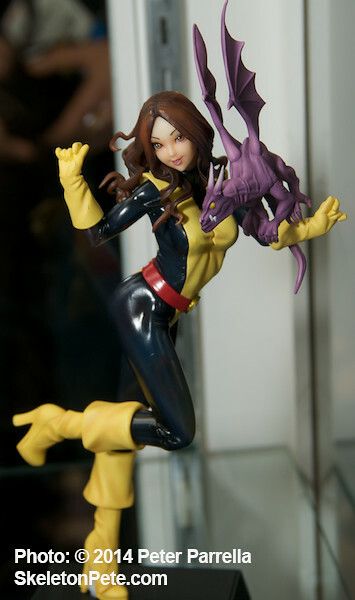 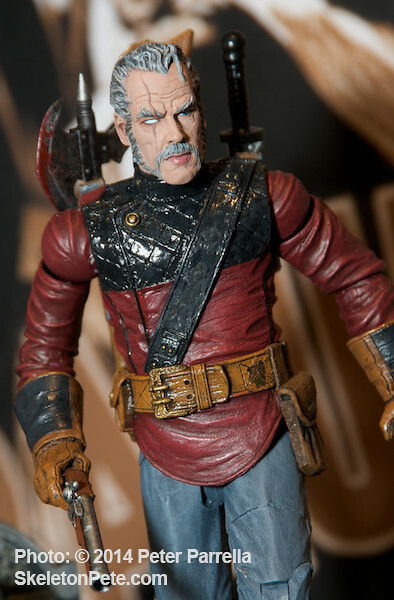 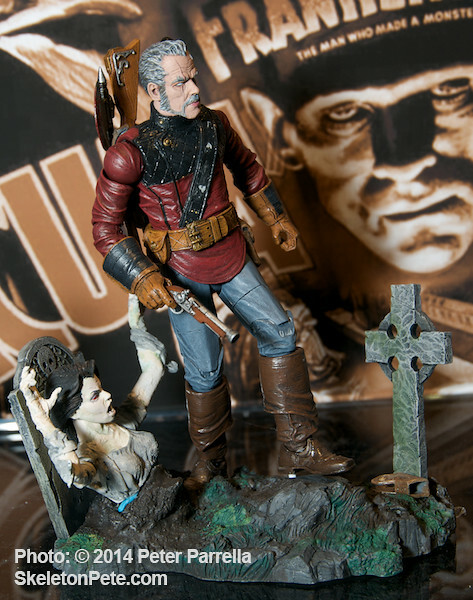 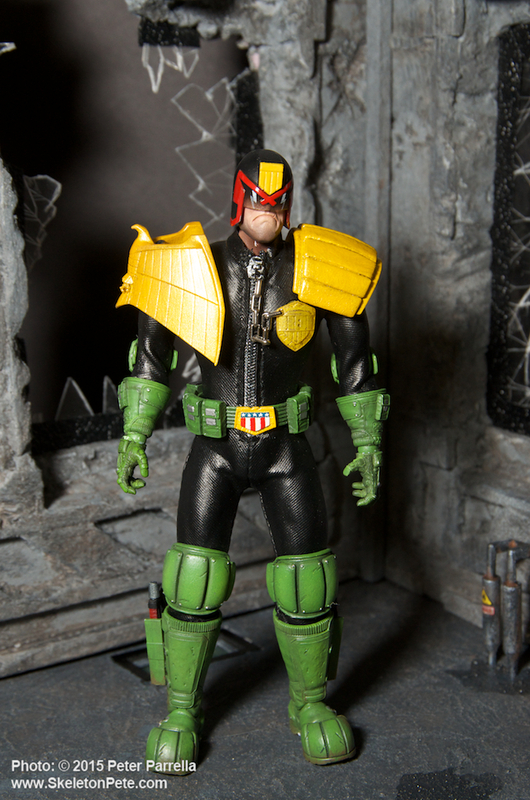 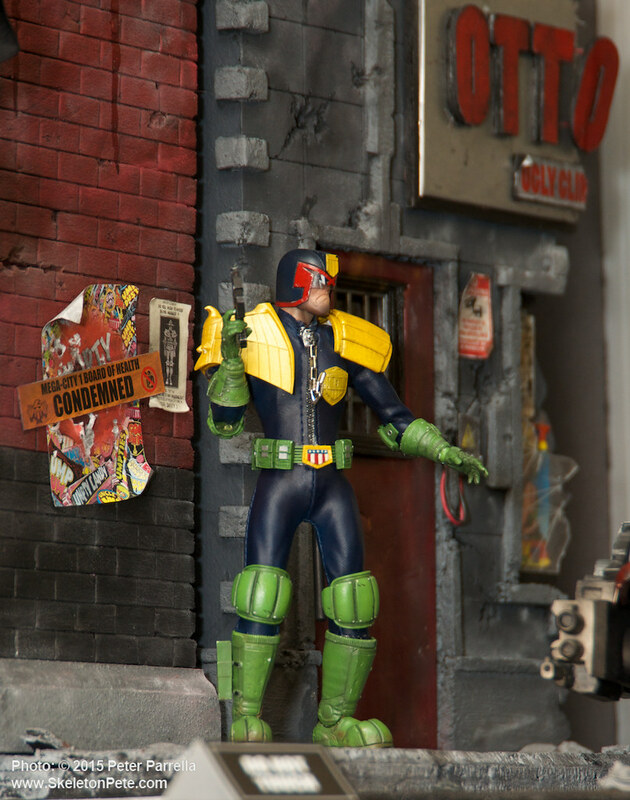 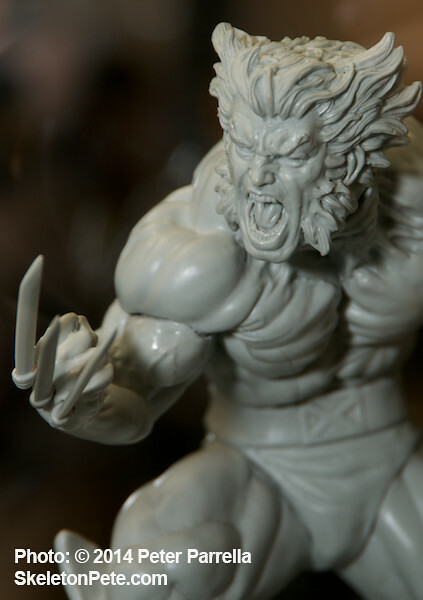 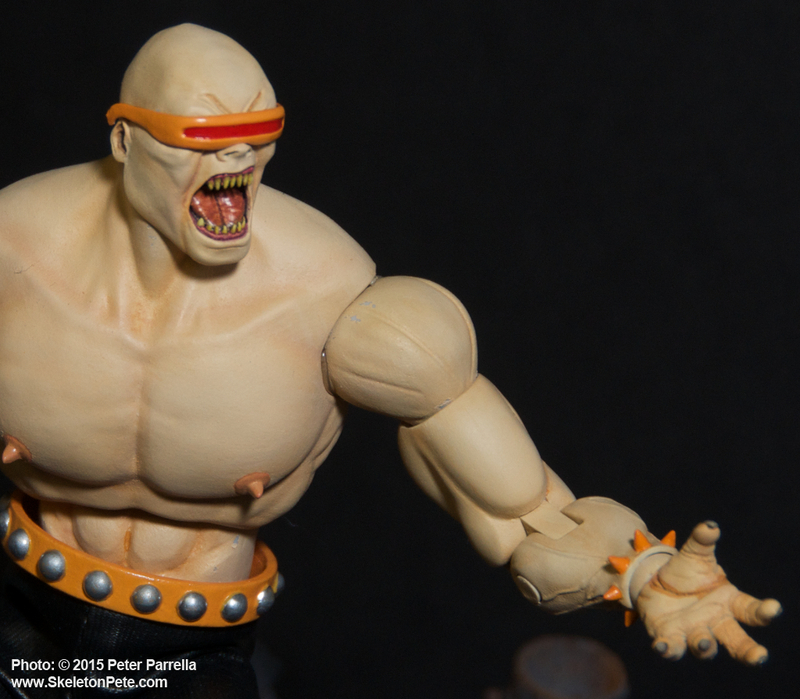 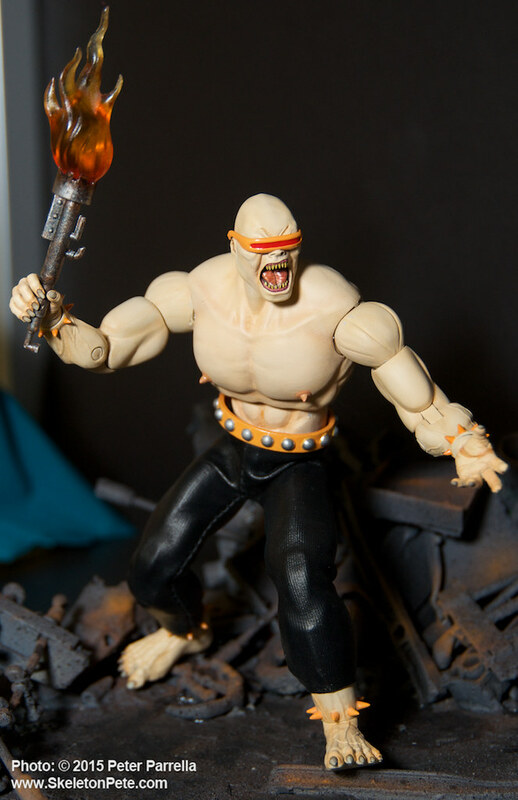 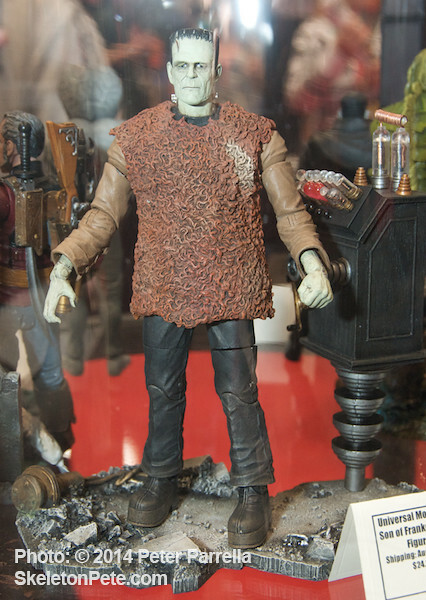 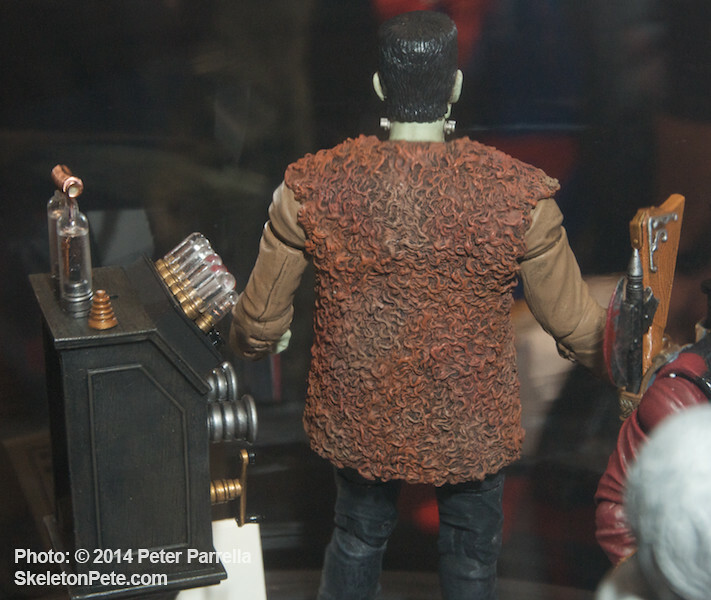 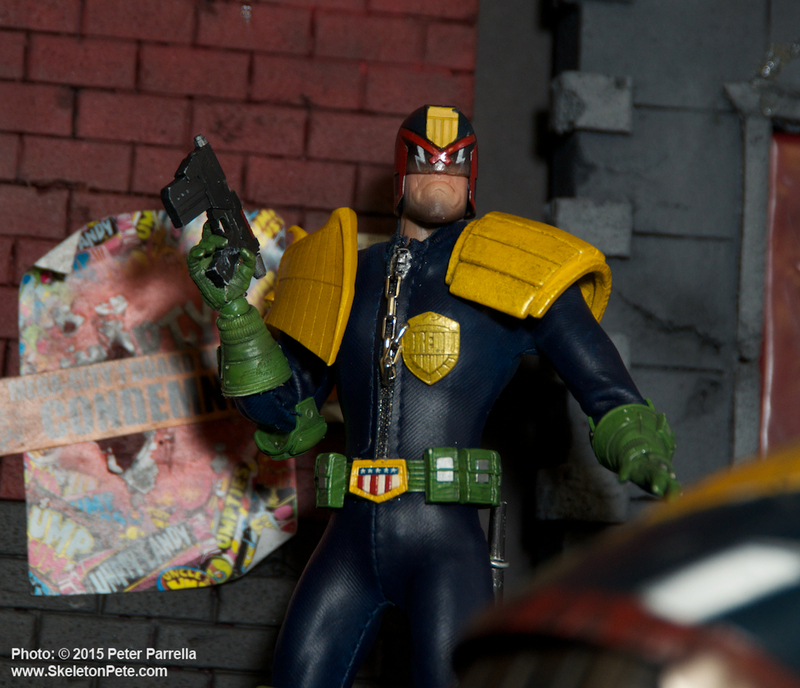 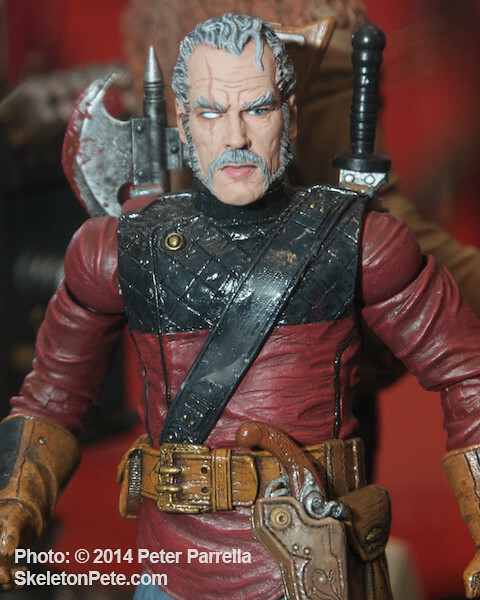 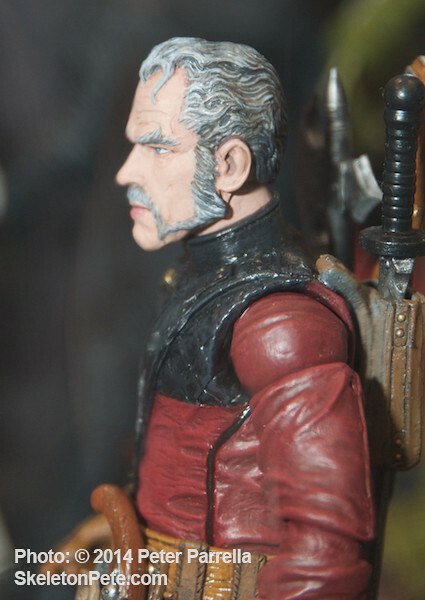 Newly announced One:12 Collective Mutant Gang Leader prototype. 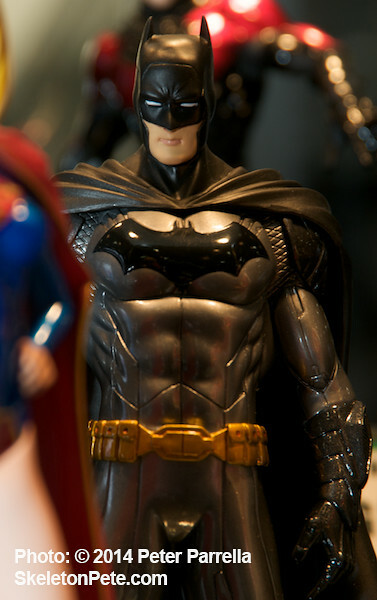 Every good superhero needs a cause and a villain to thwart. 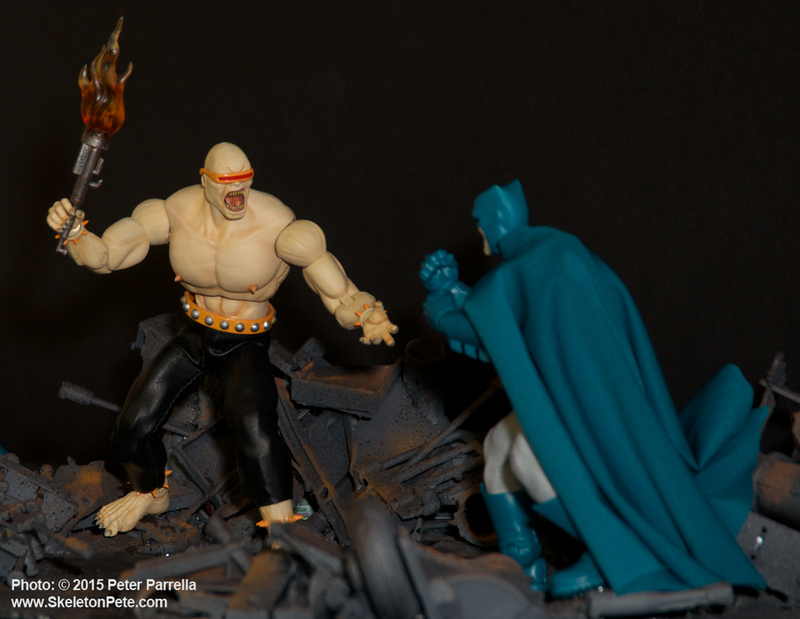 Frank Miller’s Dark Knight was pitted against the Mutant Gang. 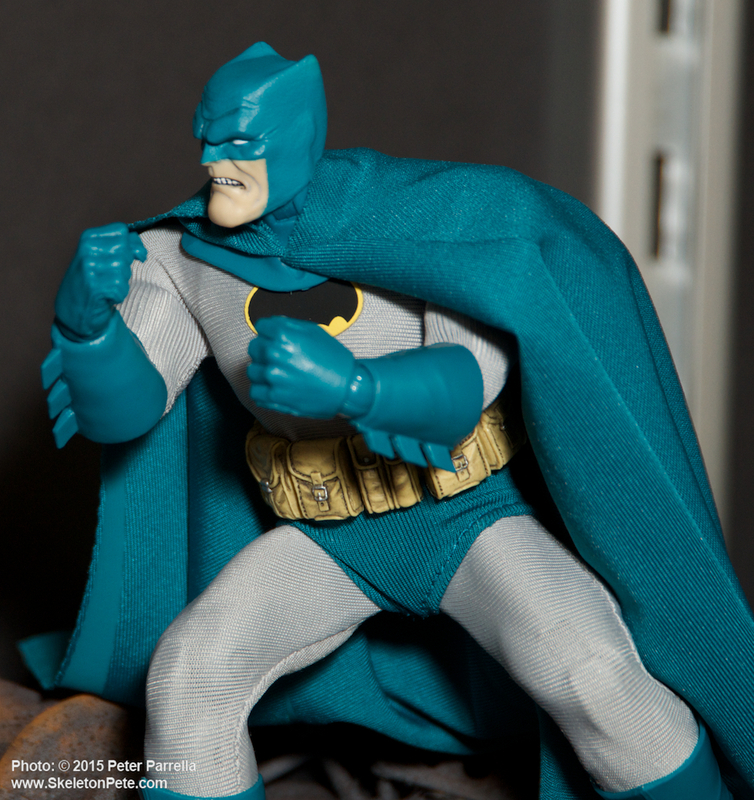 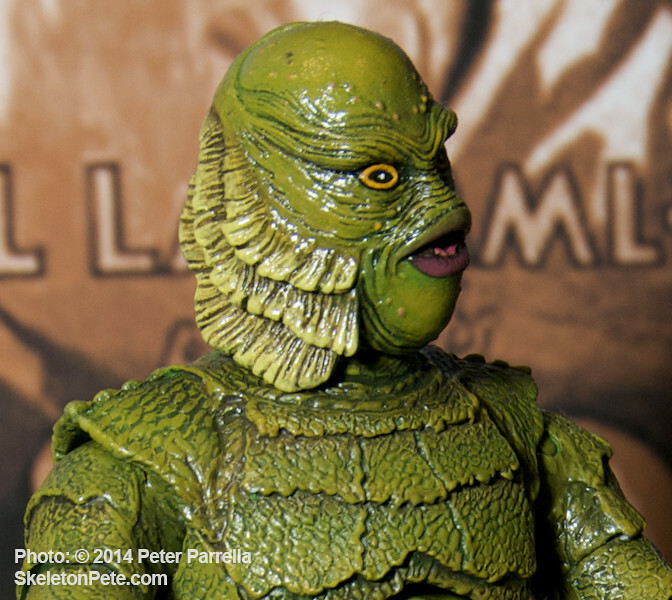 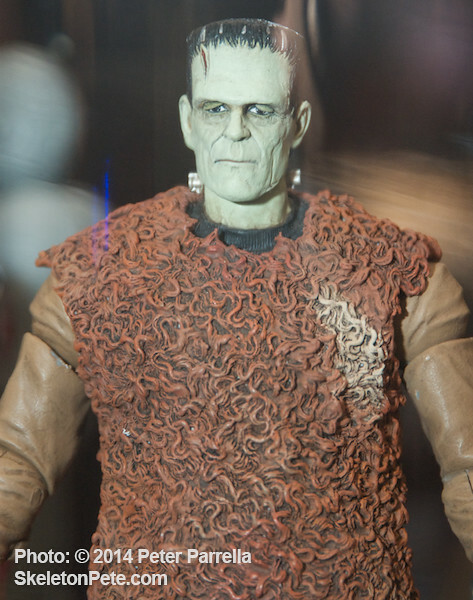 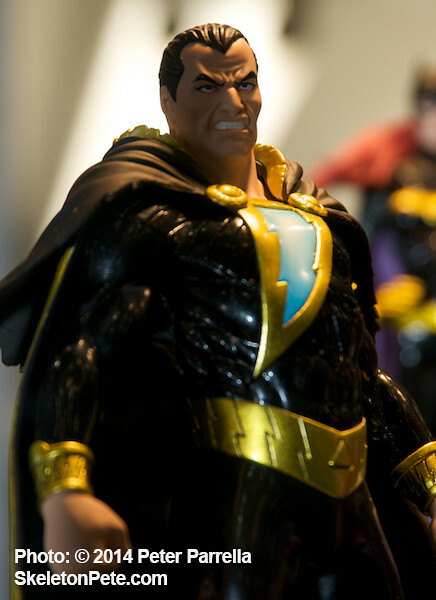 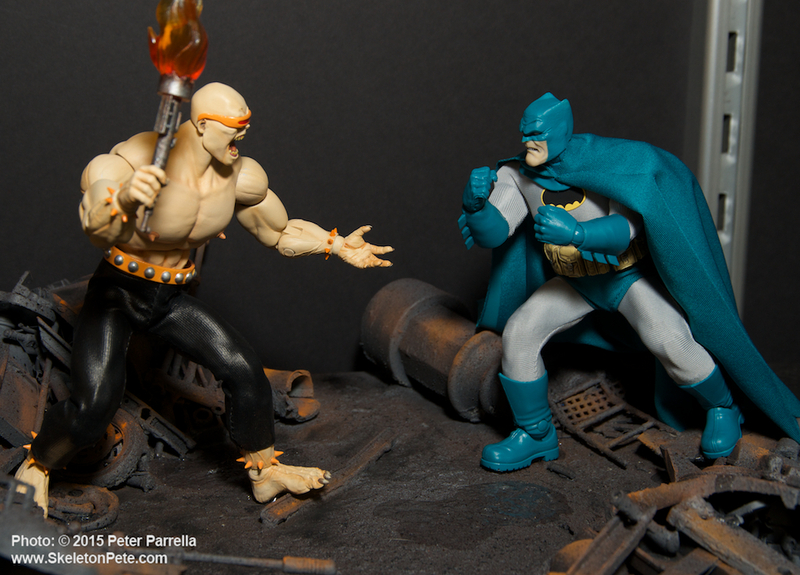 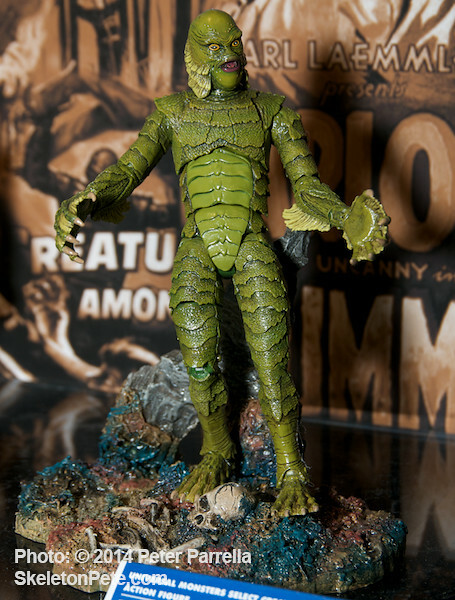 Hot off the 3D press and ready to rumble with the caped crusader Mezco showed us the just approved prototype for that gang’s monstrous leader. 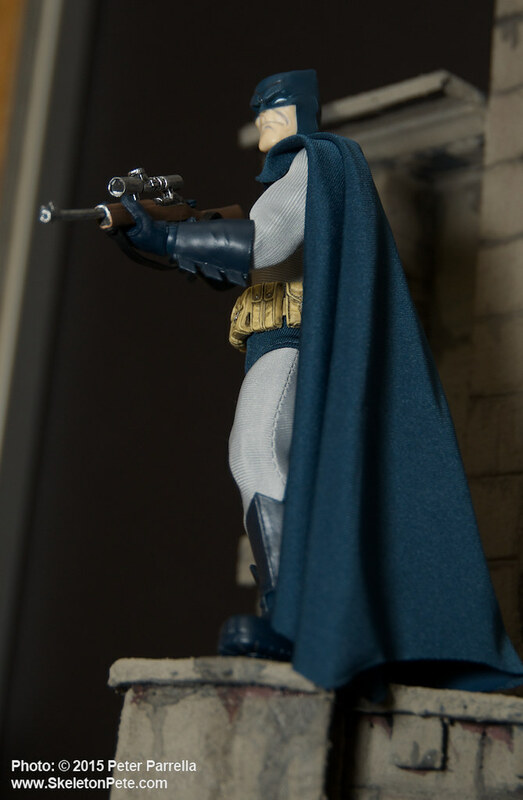 With One:12 Batman as the “proof of theory” Mezco has what I believe to be a grand-slam product line reaching well into the future. 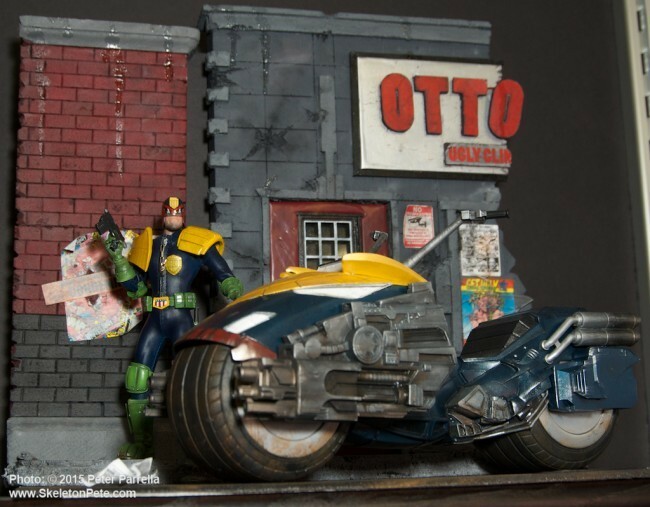 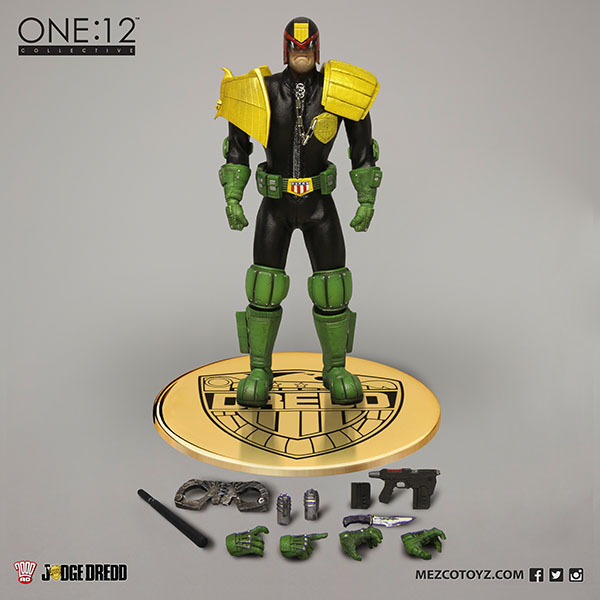 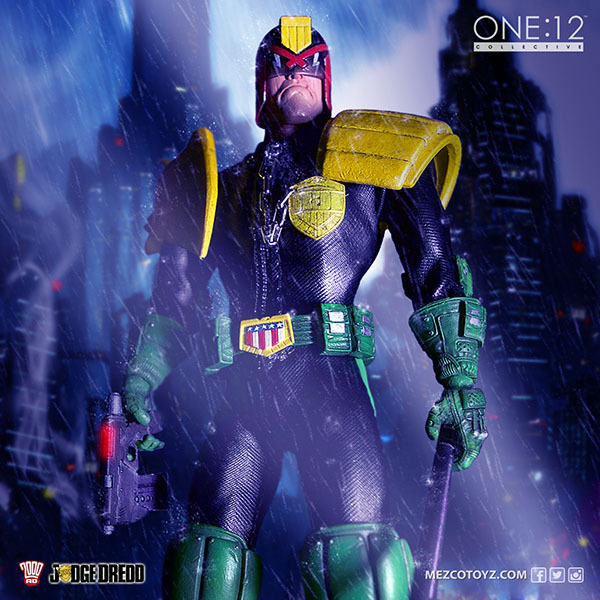 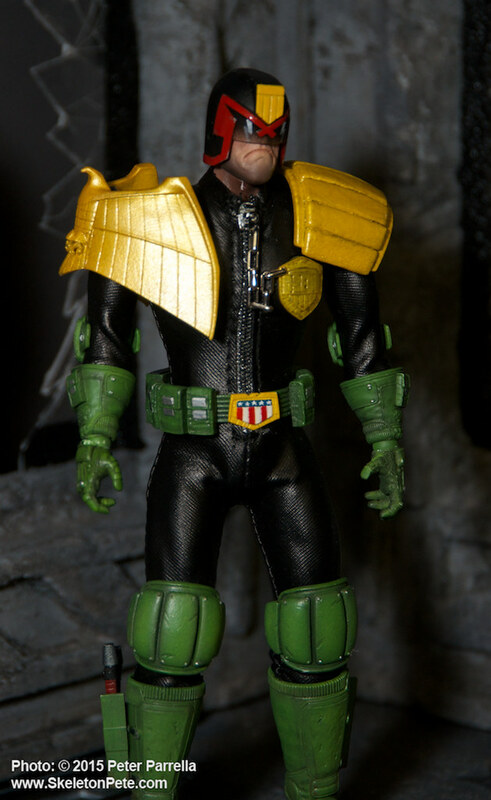 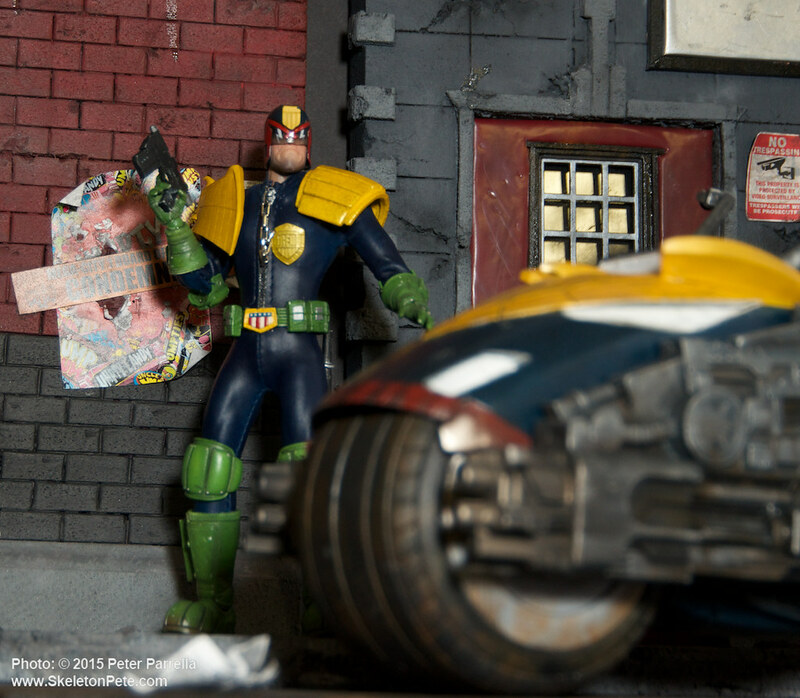 The already announced Judge Dredd, has added a sweet ride of a cycle, and the One:12 catalog gives us a hint of what is to come. 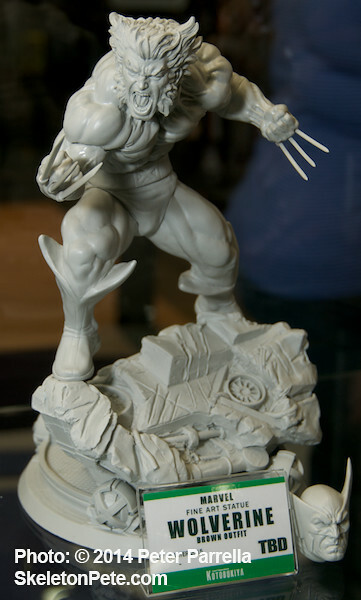 They’ll be more DC Universe heroes, Universal Monsters, Mortal Kombat Klassic, Thundercats, Star Trek. 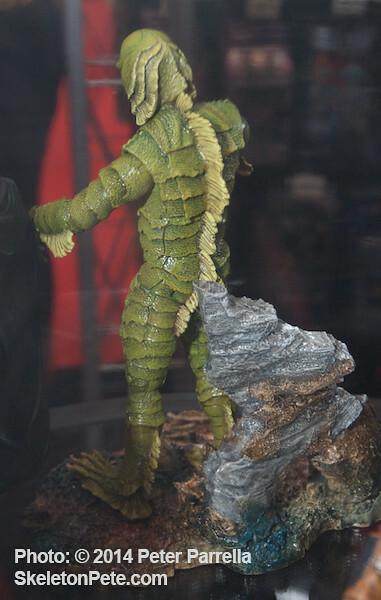 It’s especially exciting is too see the logos for Hanna-Barbera’s Alex Toth designed Space Ghost, Thundarr, The Barbarian and – wait for it – The Herculoids listed. 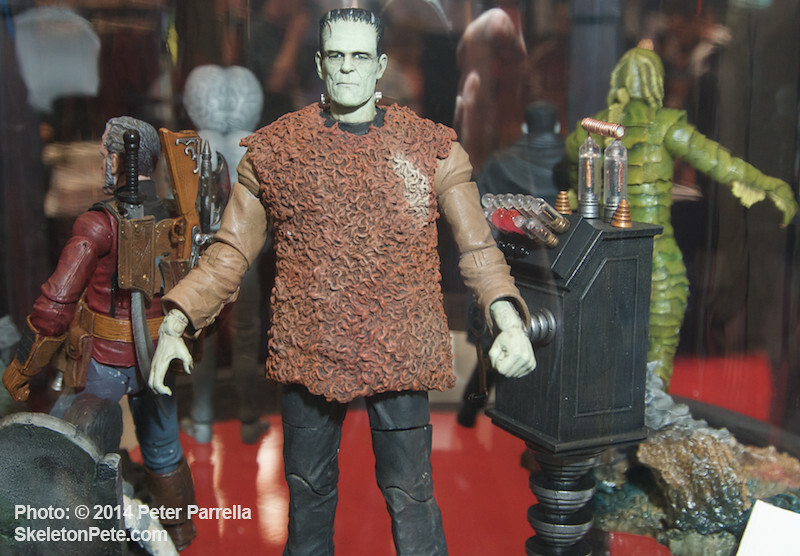 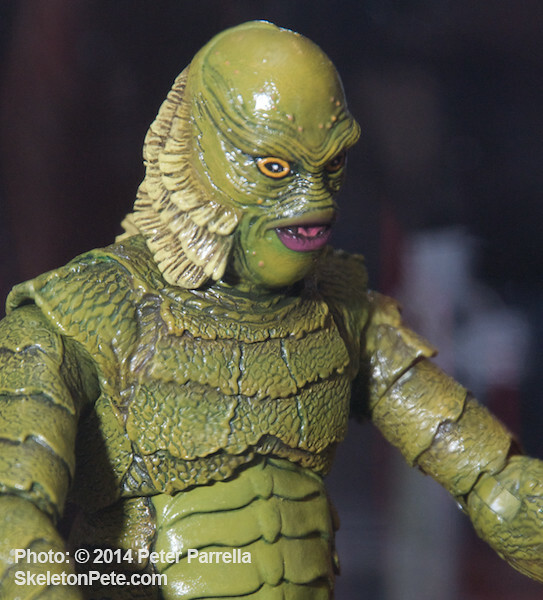 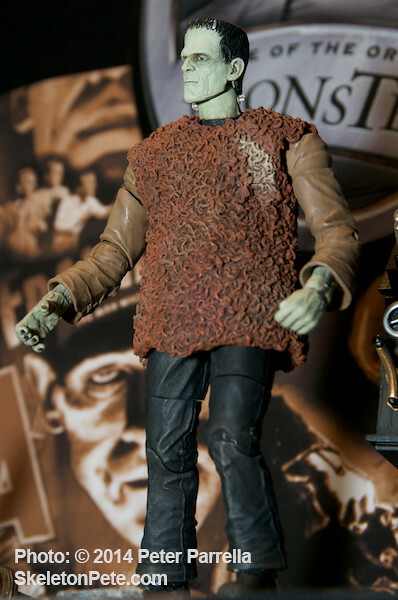 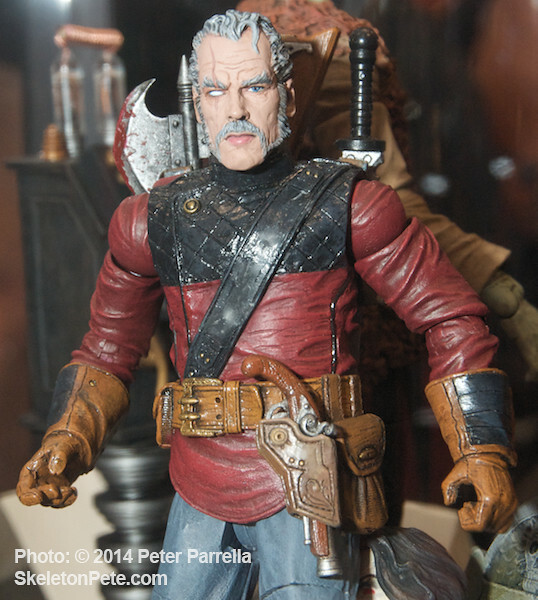 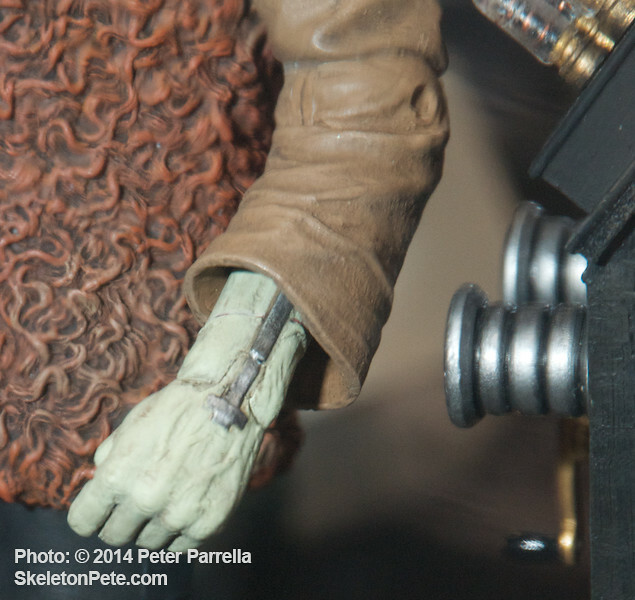 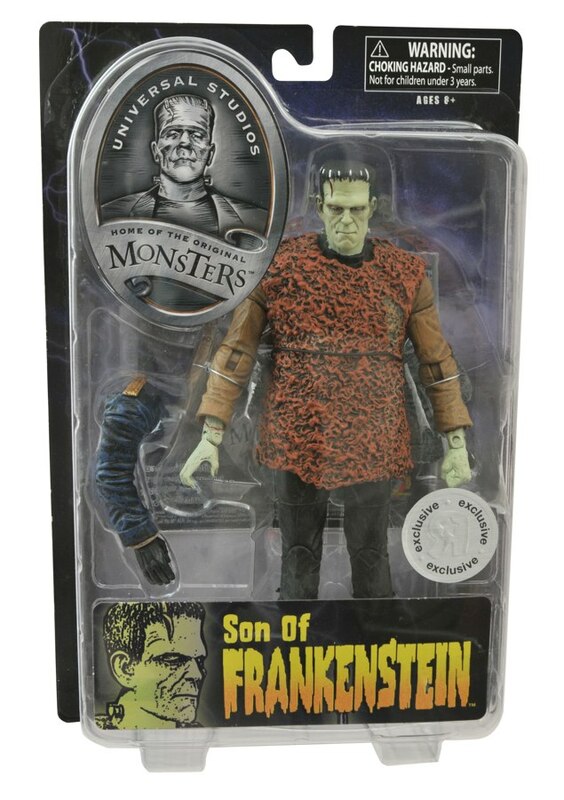 Mezco showed us much more of their upcoming fare, with Chucky, Living Dead Dolls, Mortal Combat, Sons of Anarchy, a 24” classic 1940’s Bug Bunny, and I’ll be posting more as the days lead up to the 2015 New York International Toy Fair.